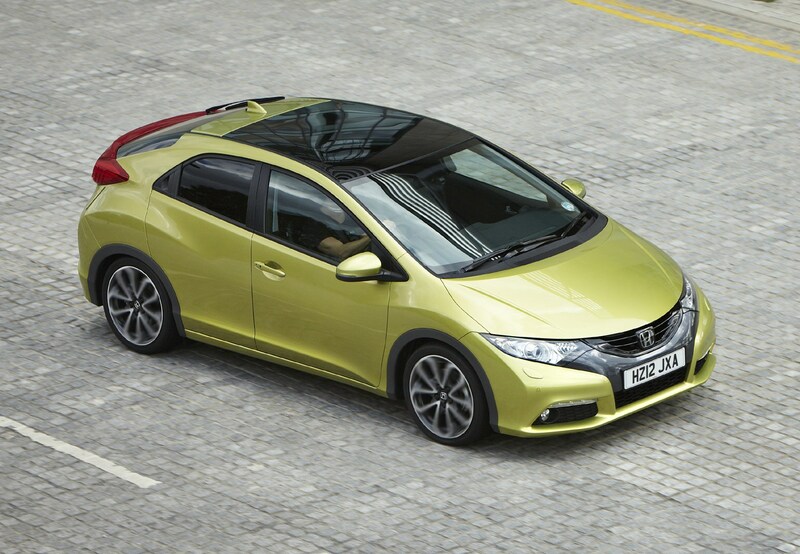 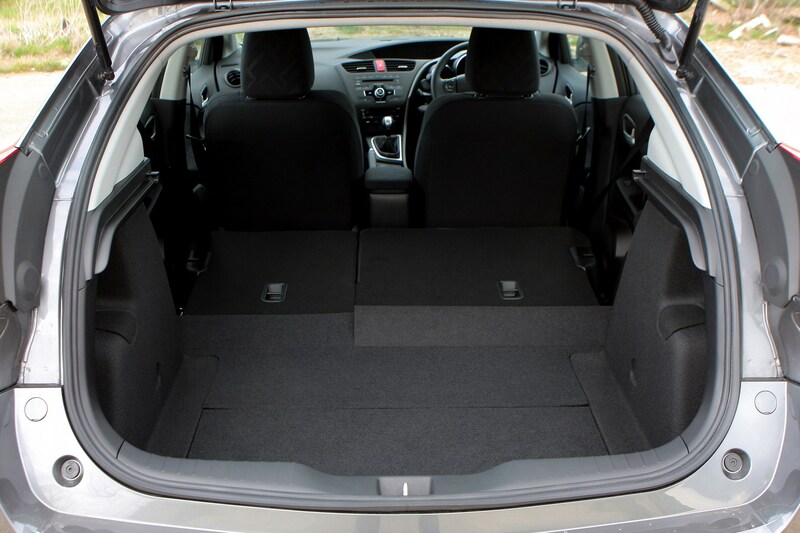 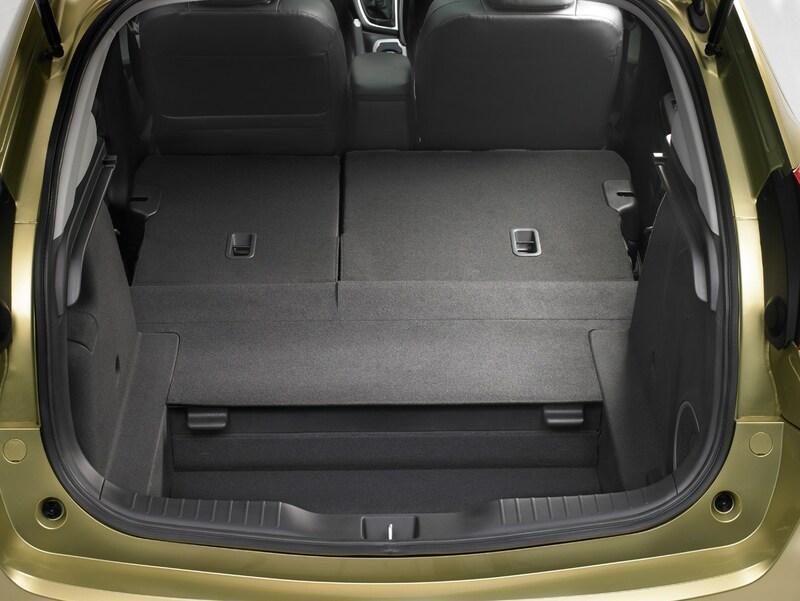 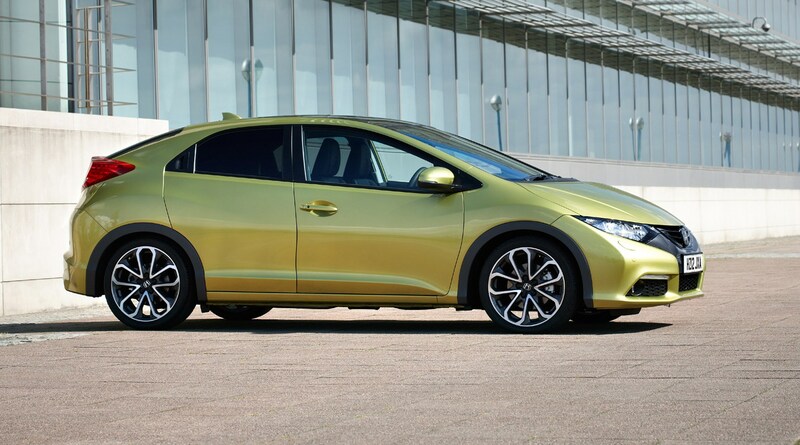 Honda Civic hatchback running costs are pretty favourable. 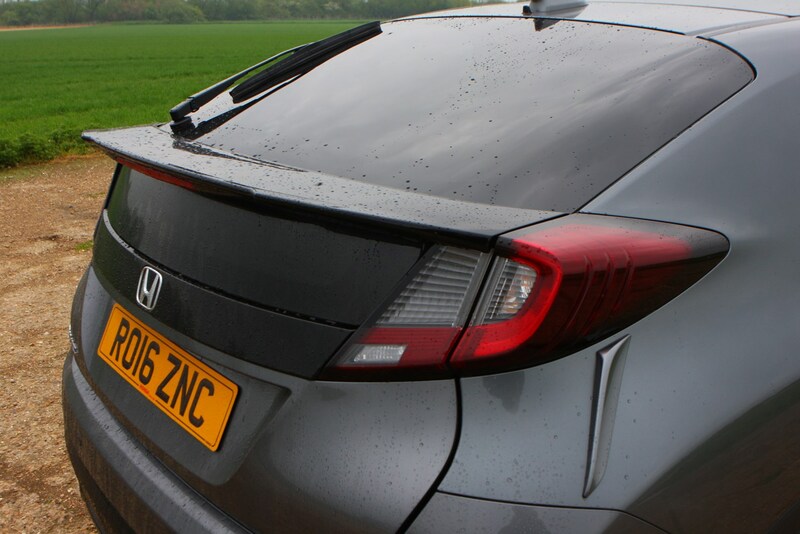 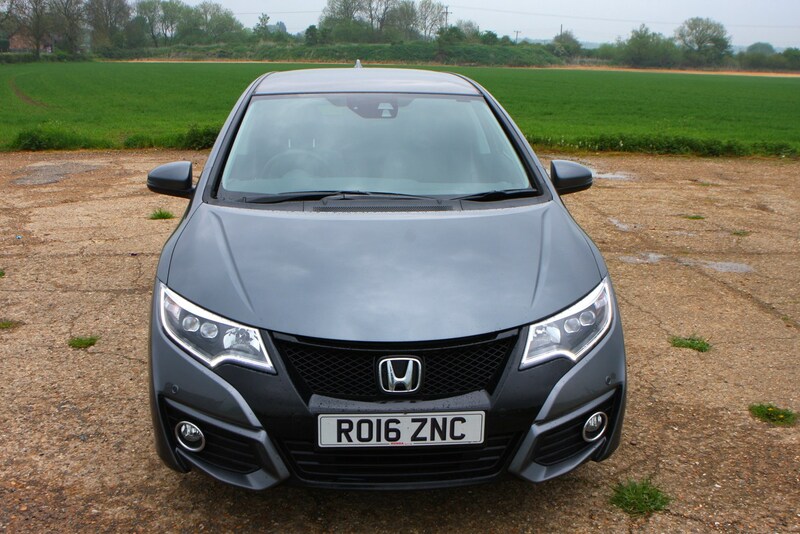 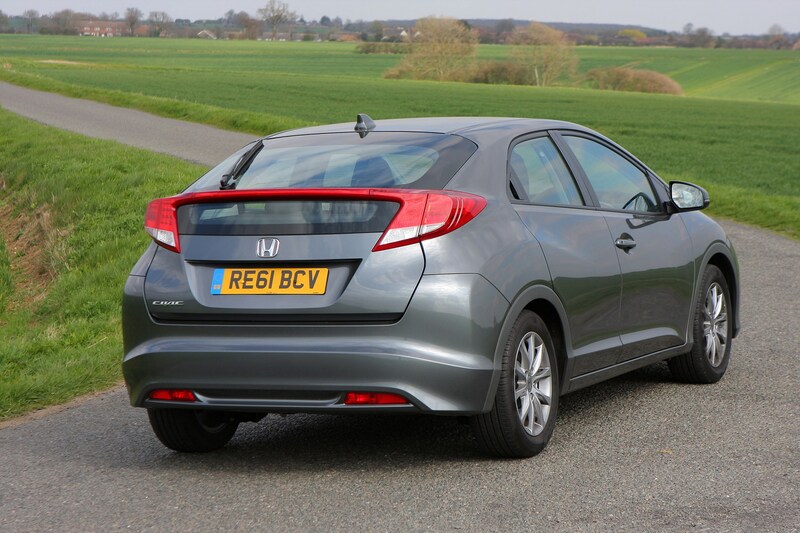 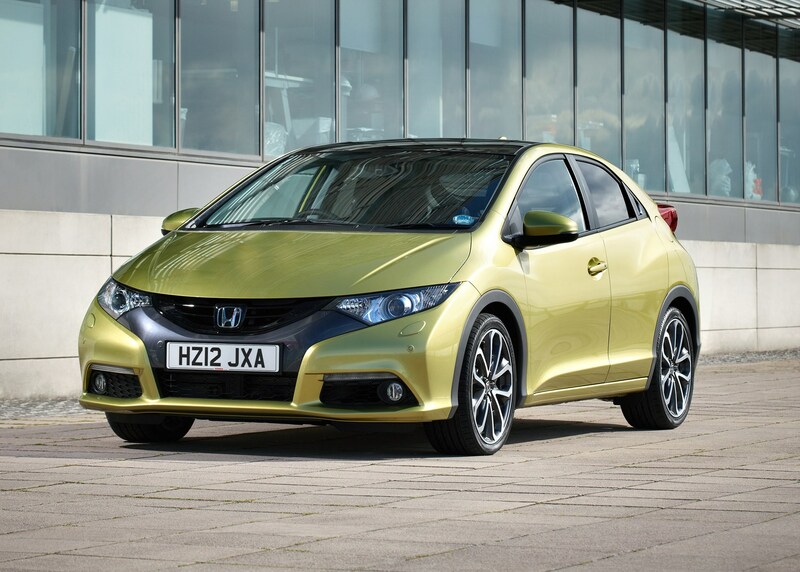 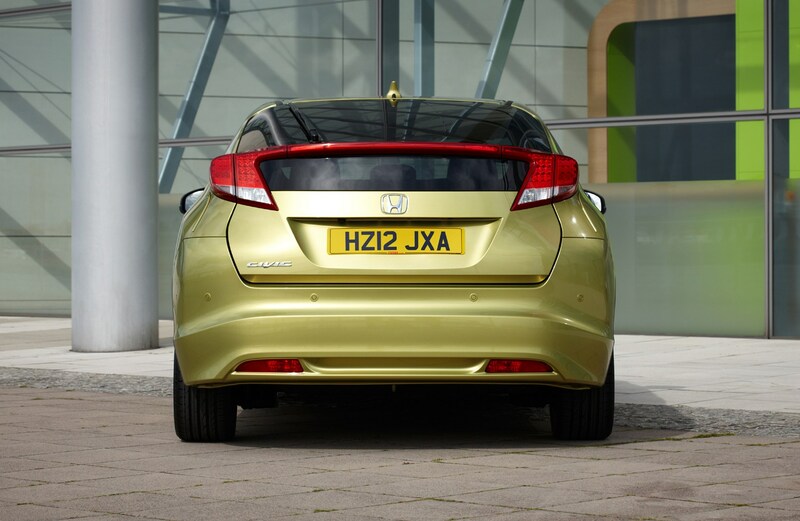 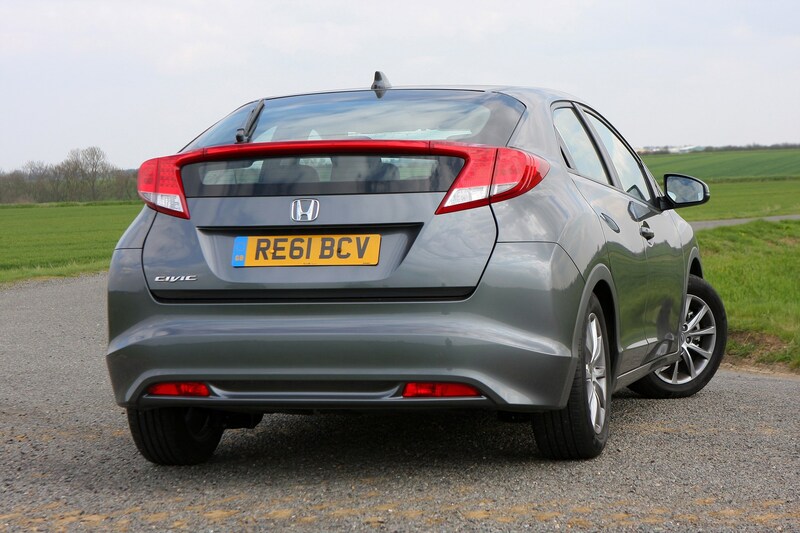 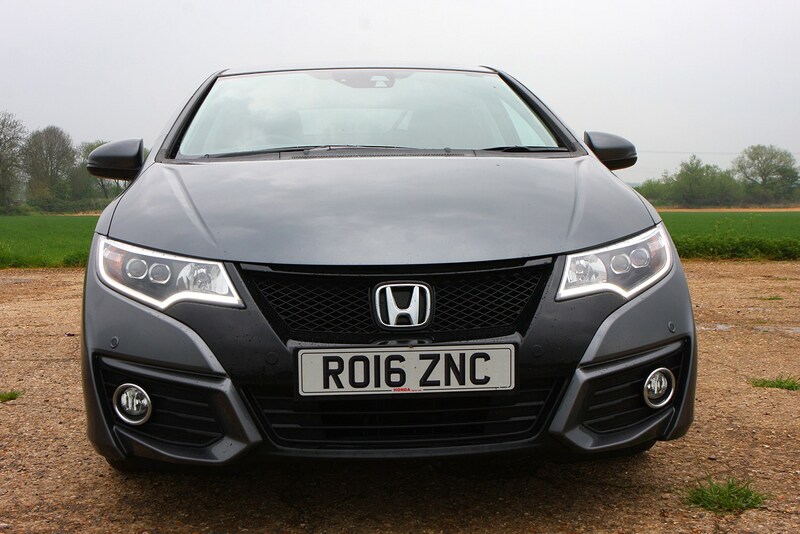 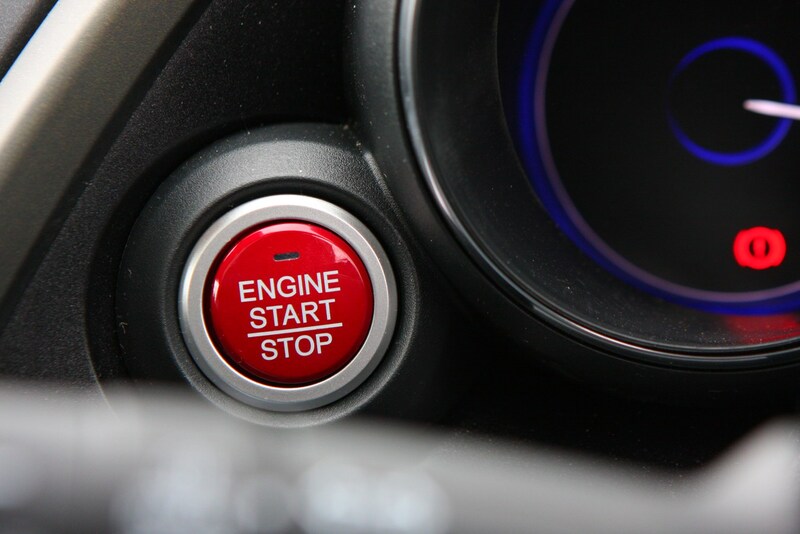 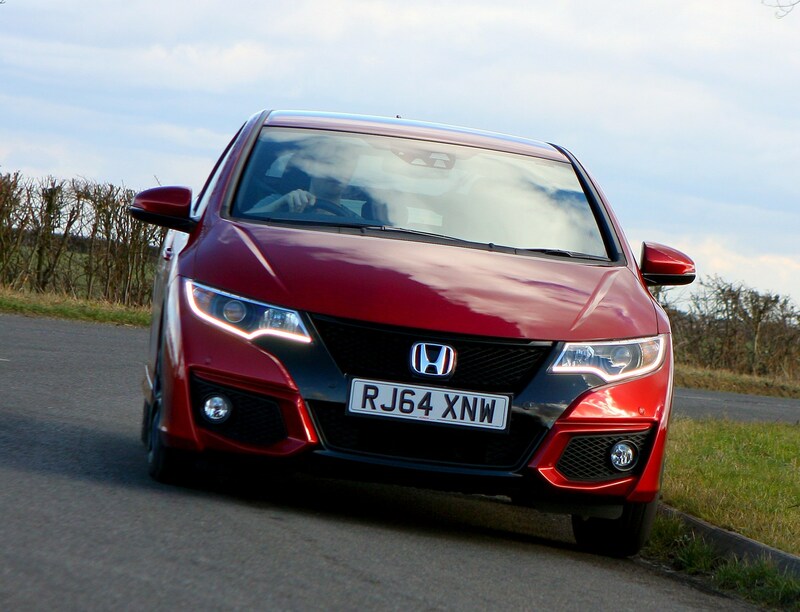 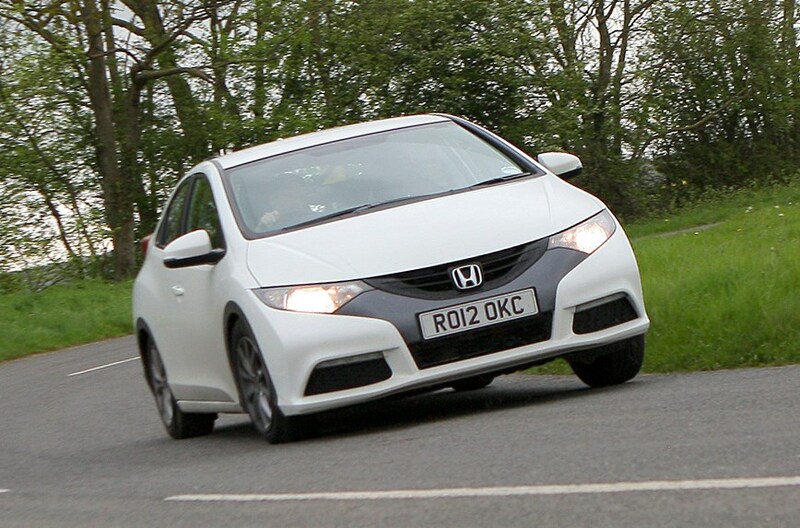 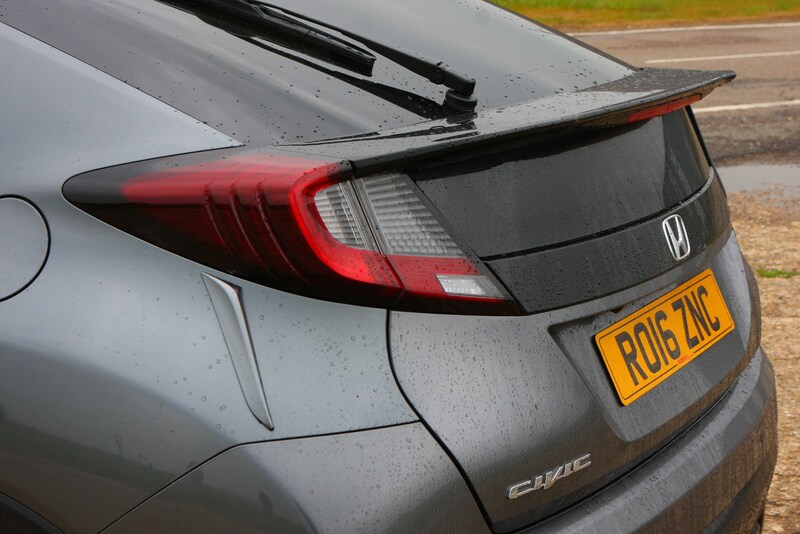 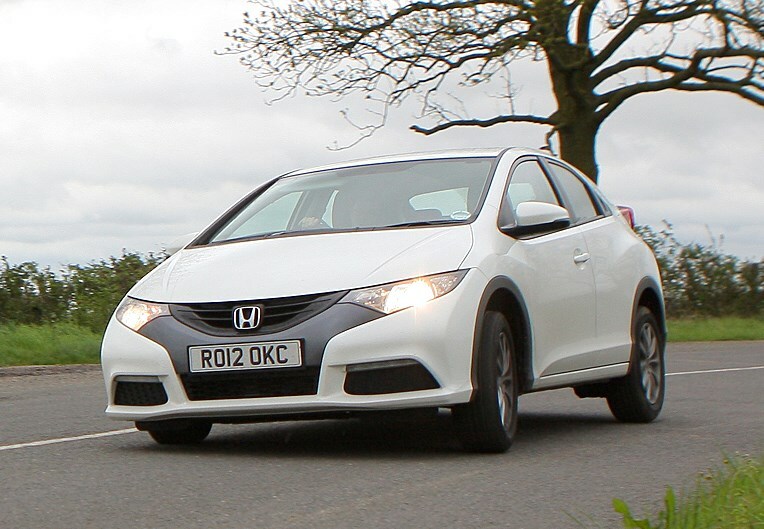 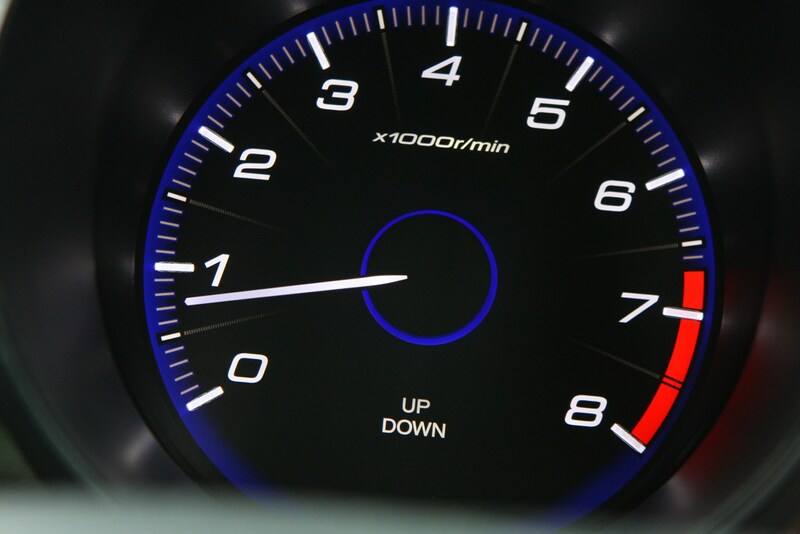 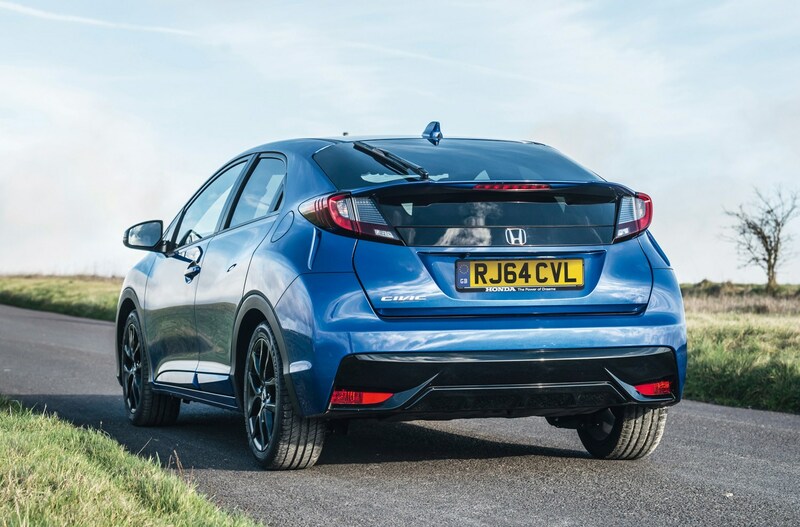 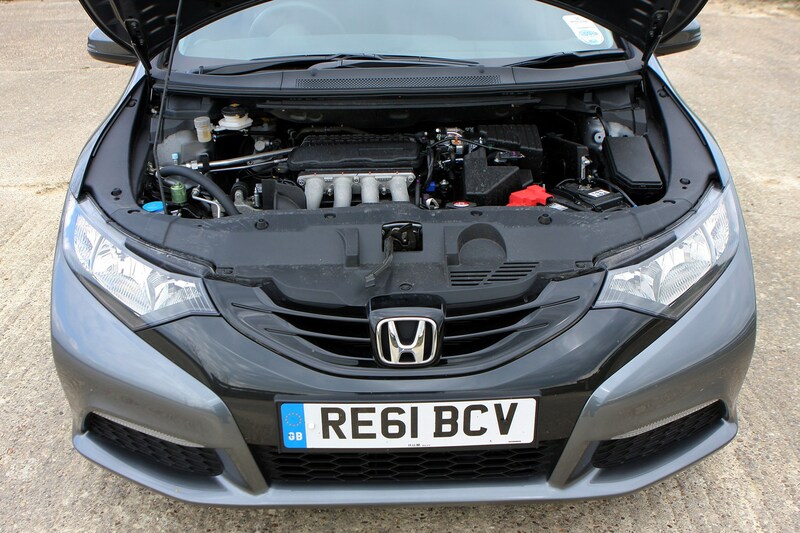 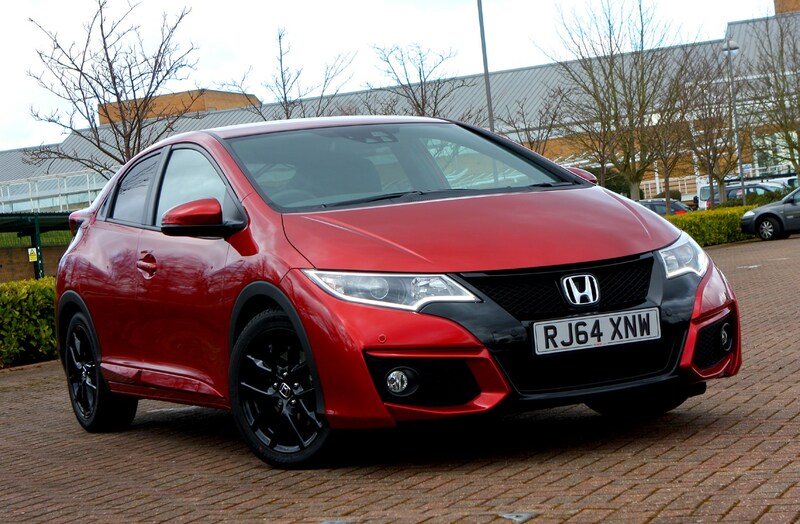 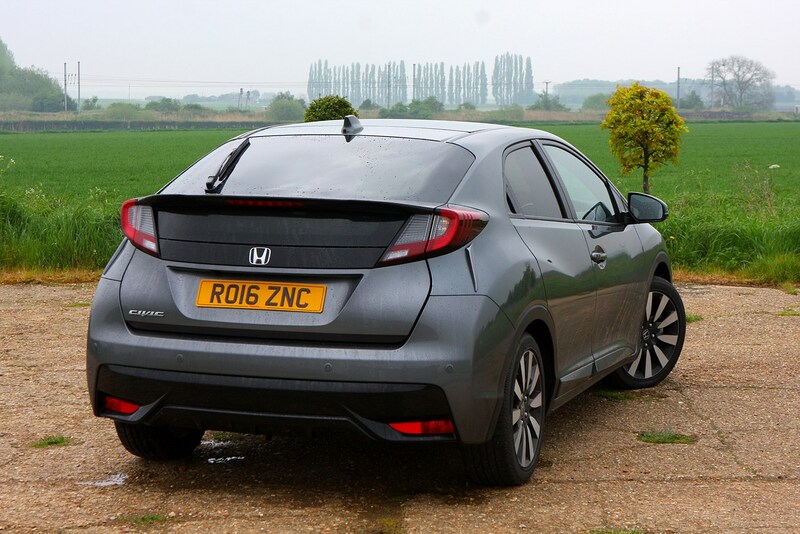 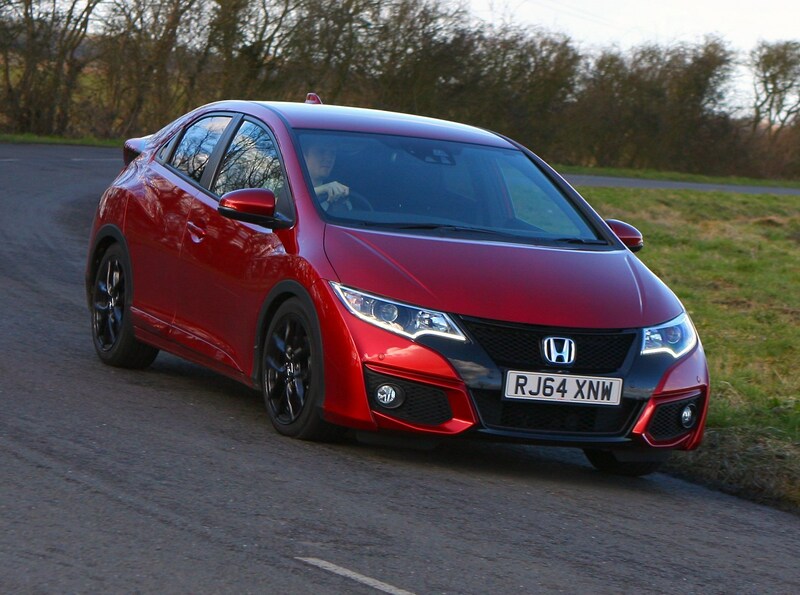 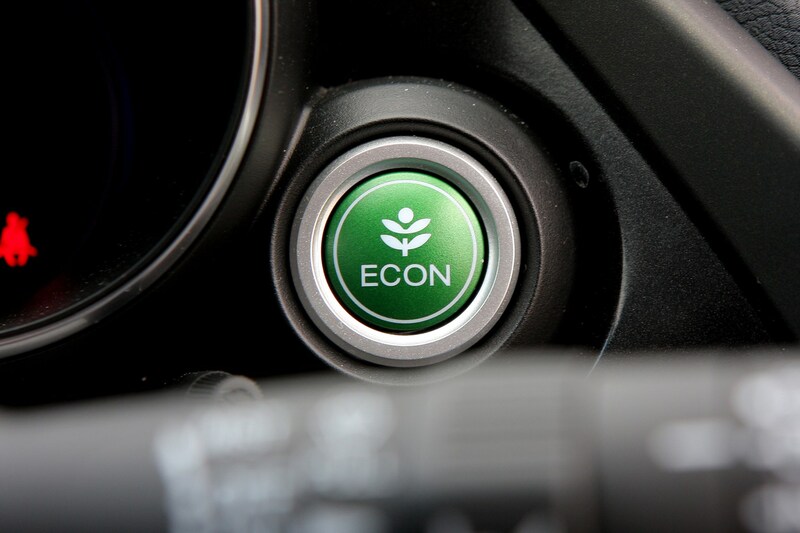 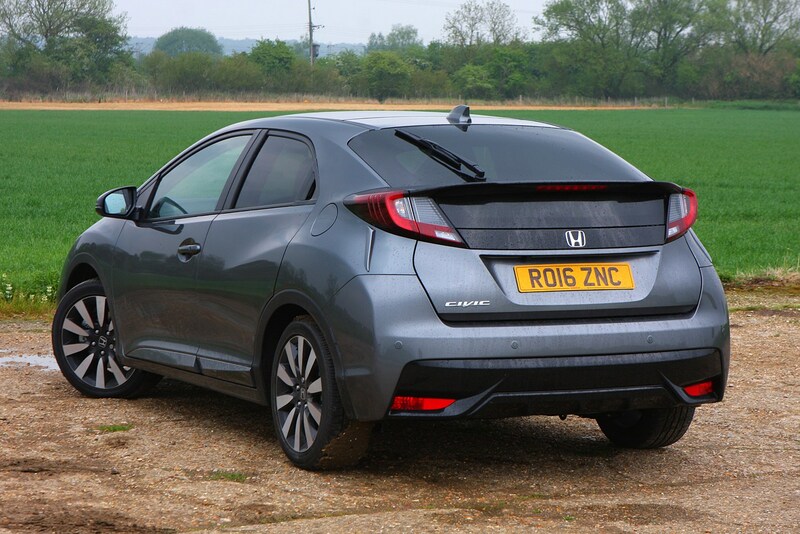 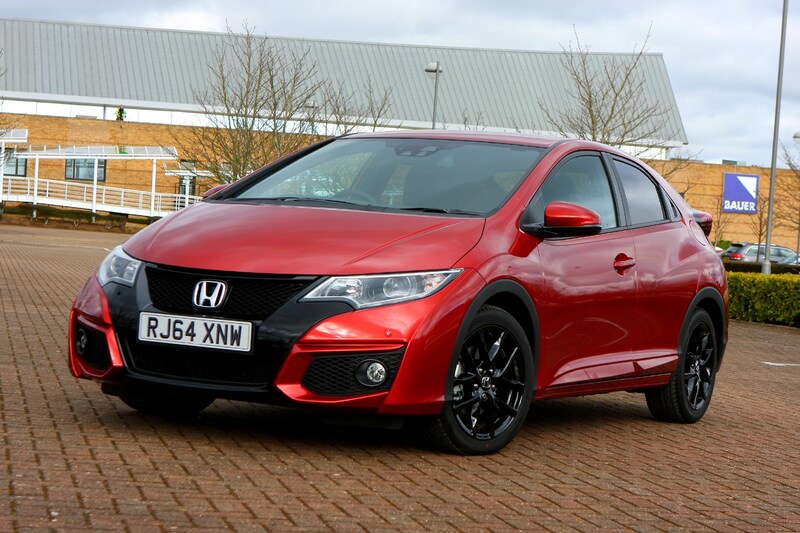 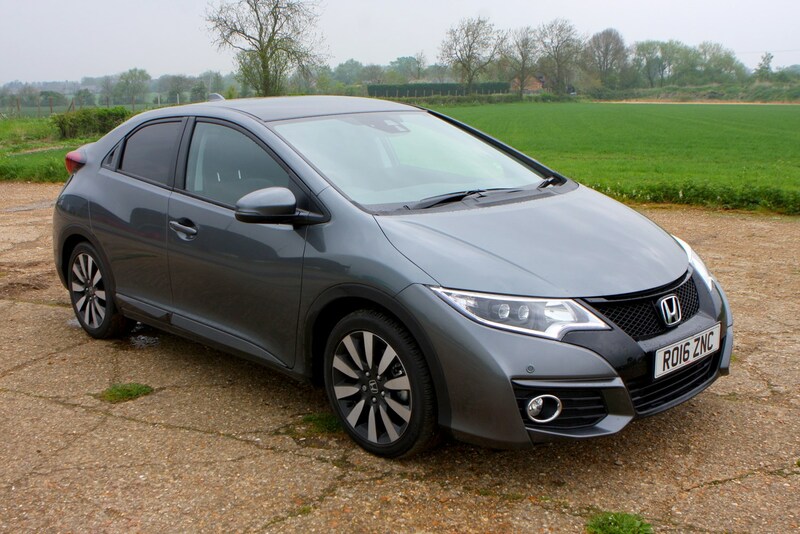 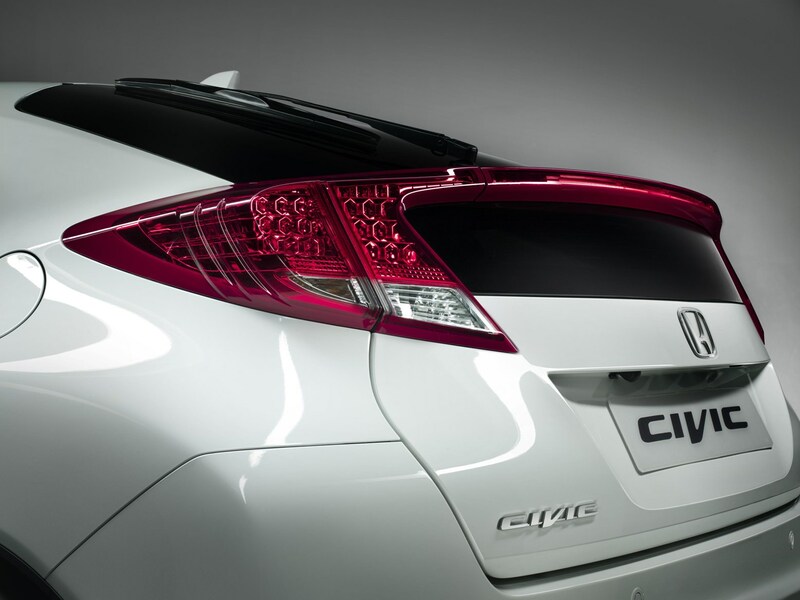 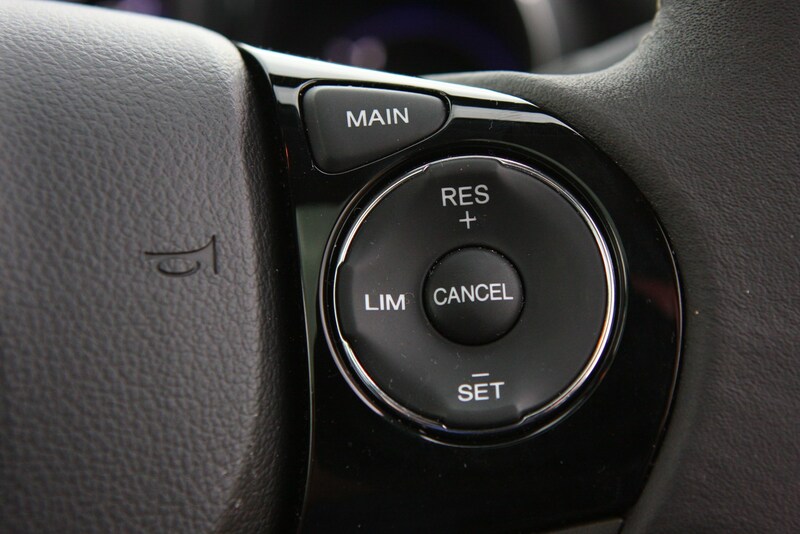 Honda has included stop/start on all Civics in a bid to keep running costs to a minimum, and there's also the inclusion of the 'eco' button that dulls throttle response in order to slow your fuel-burning rate. 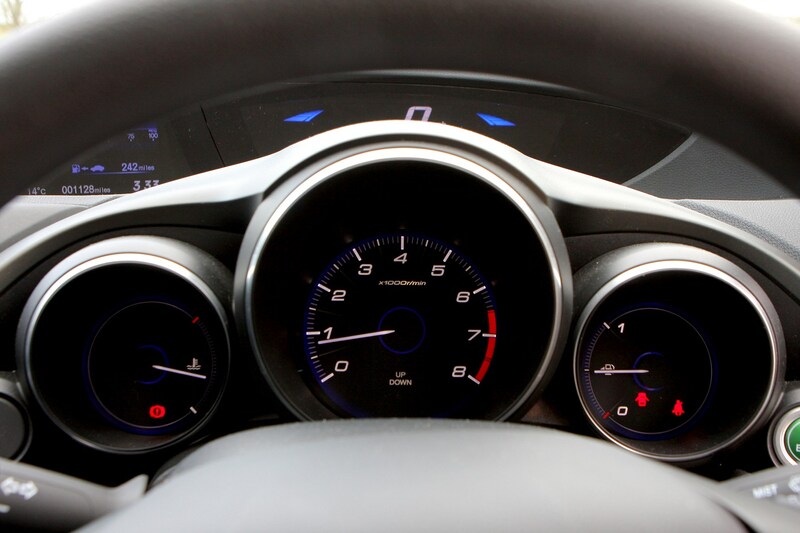 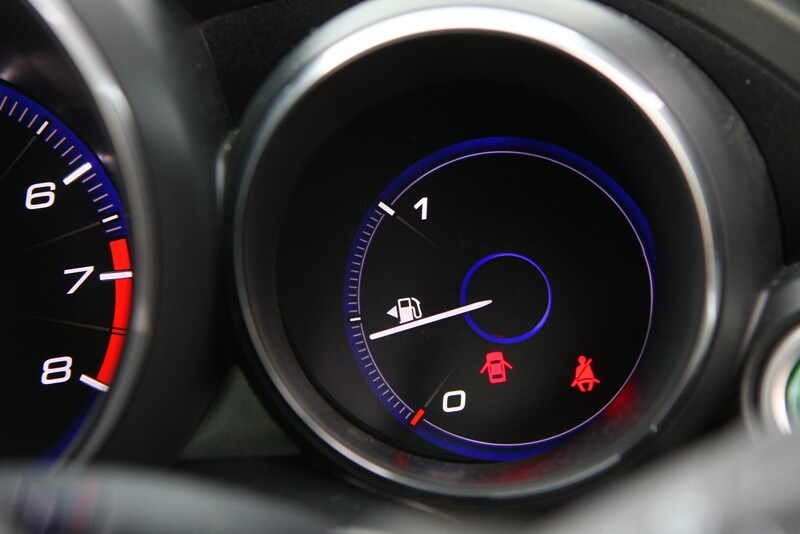 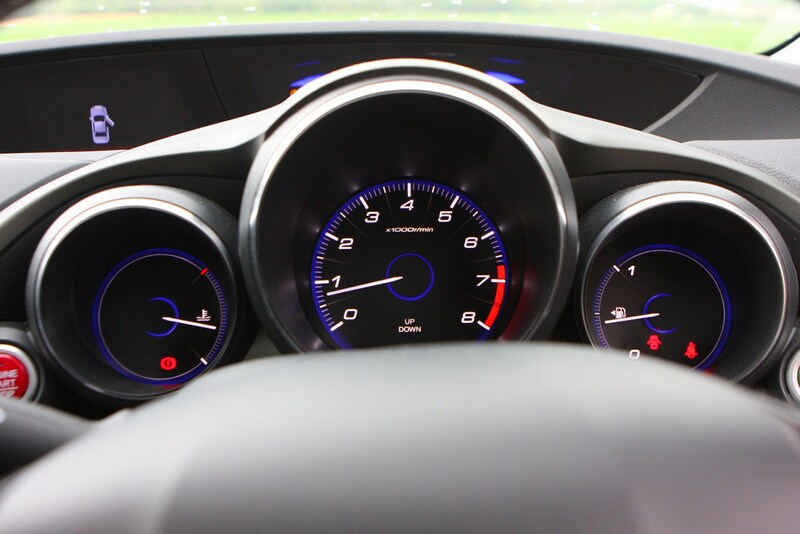 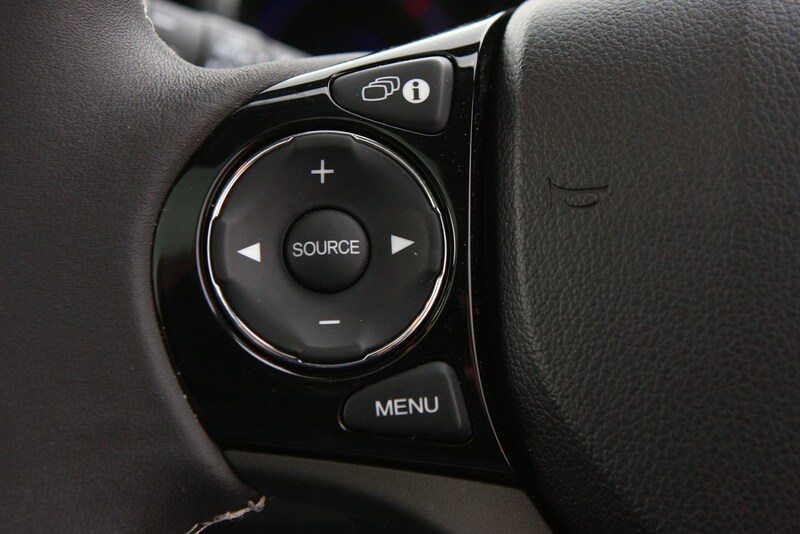 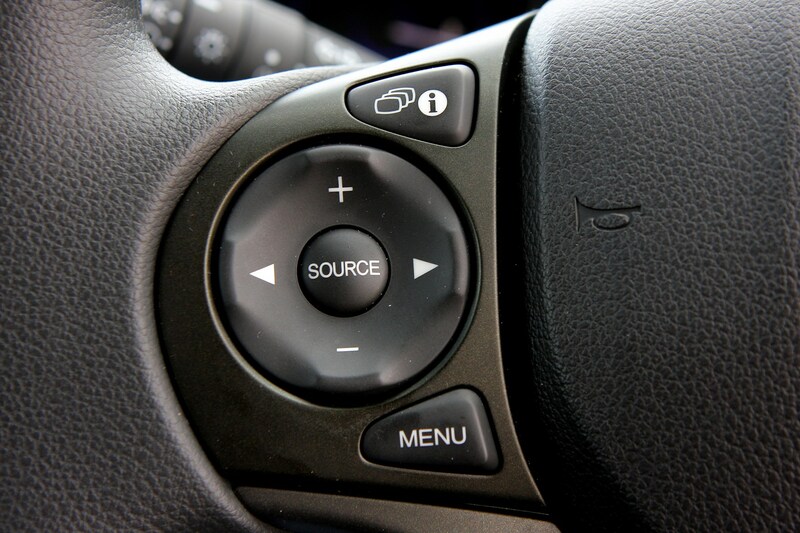 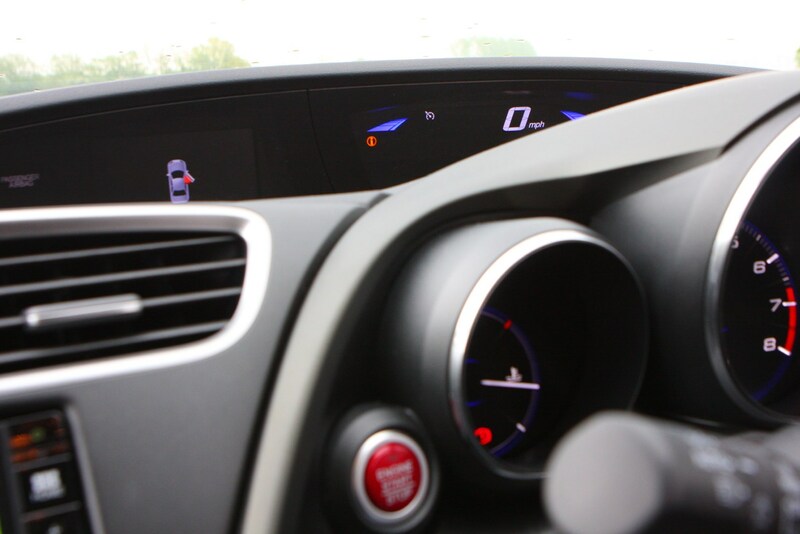 By pressing the eco button a display on the dashboard will tell you through colour-coding when you are driving efficiently and not-so-efficiently. 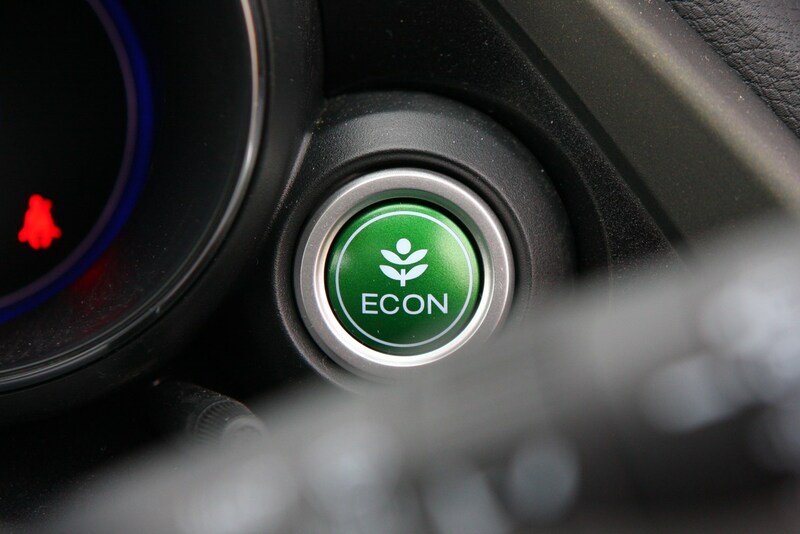 Blue means bad, turquoise means not so bad, and green means good. 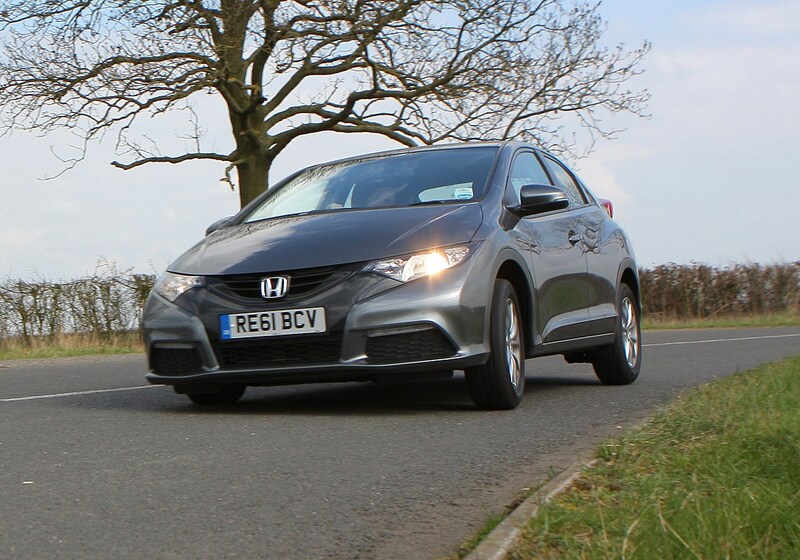 The most economical engine, predictably, is the 1.6-litre diesel and it'll return a very impressive claimed average fuel consumption of 78mpg. 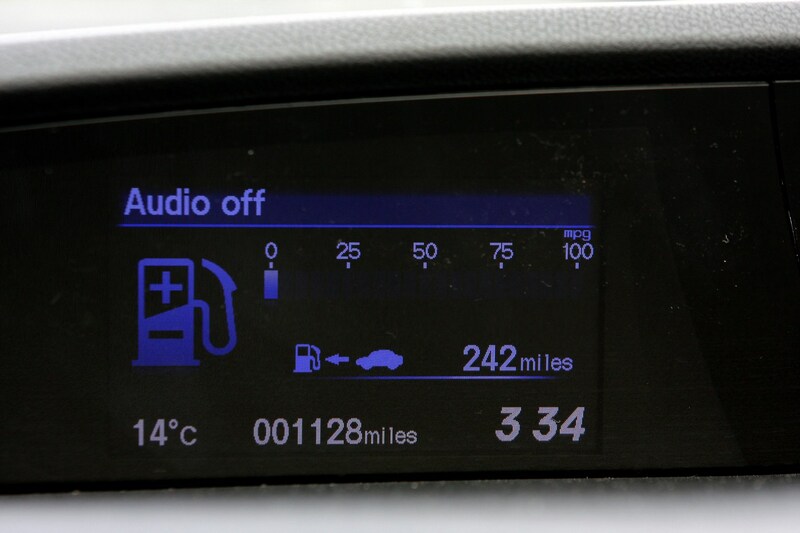 By contrast, the older 2.2-litre diesel returned 64mpg on average. 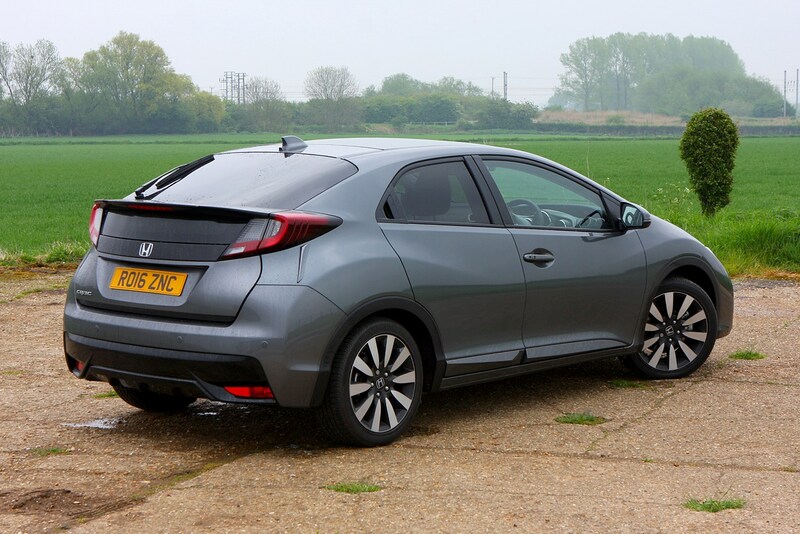 Benefit-in-kind rates are very affordable for the diesel models, but if you opt for the 1.4-litre petrol in SE trim, you can expect a tax bill that won't break the bank. 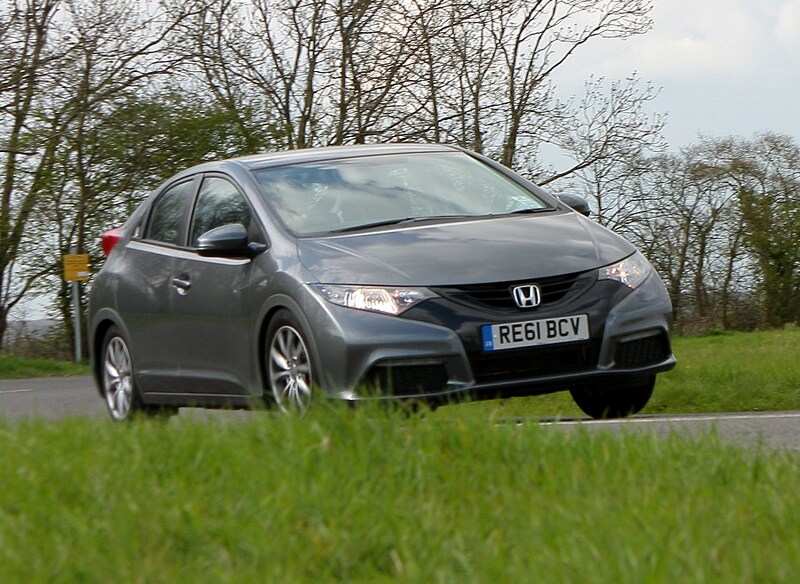 Insurance ratings for all versions fare well when compared to the previous model because they are all lower. 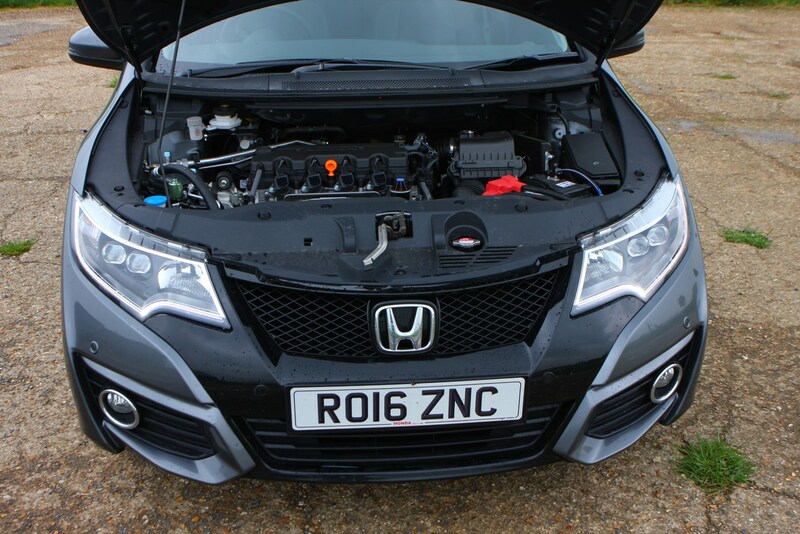 Residual values should hold reasonably well: expect the 1.6-litre diesel to be worth around 44 percent of its original value after three years. 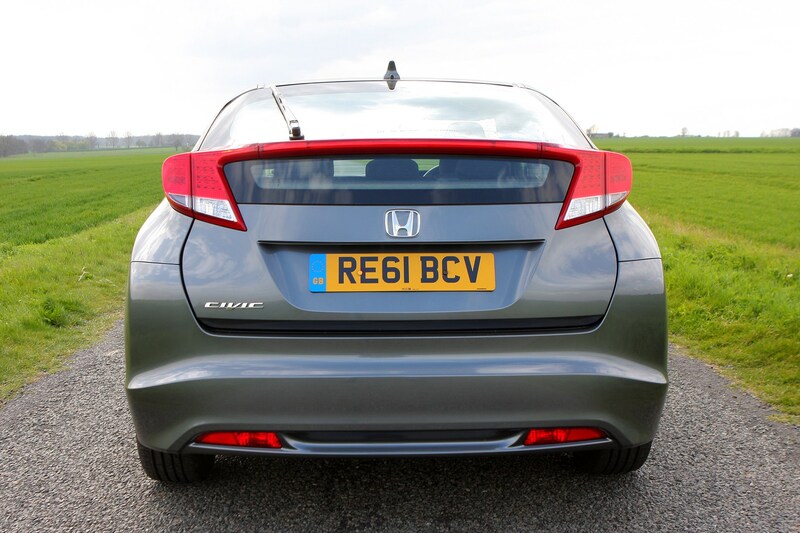 Again, go for the 1.6-litre diesel: it emits just 94g/km of CO2 which means bare minimum road tax costs and favourable company car tax. 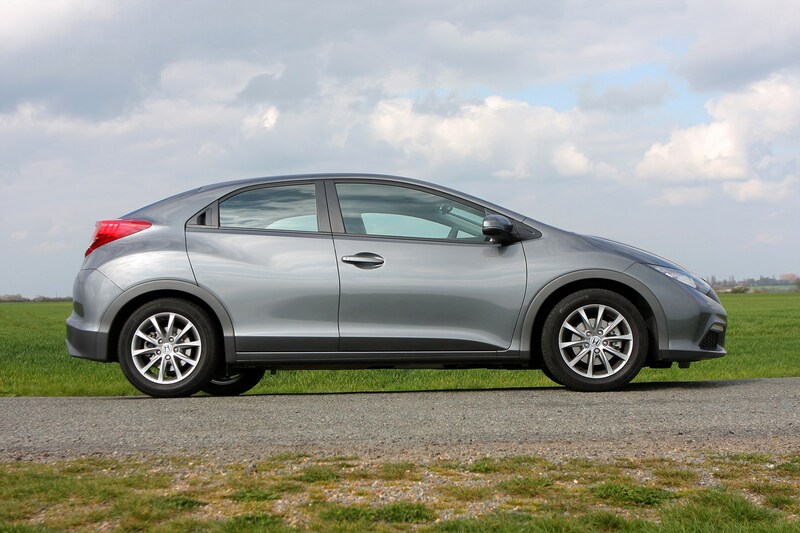 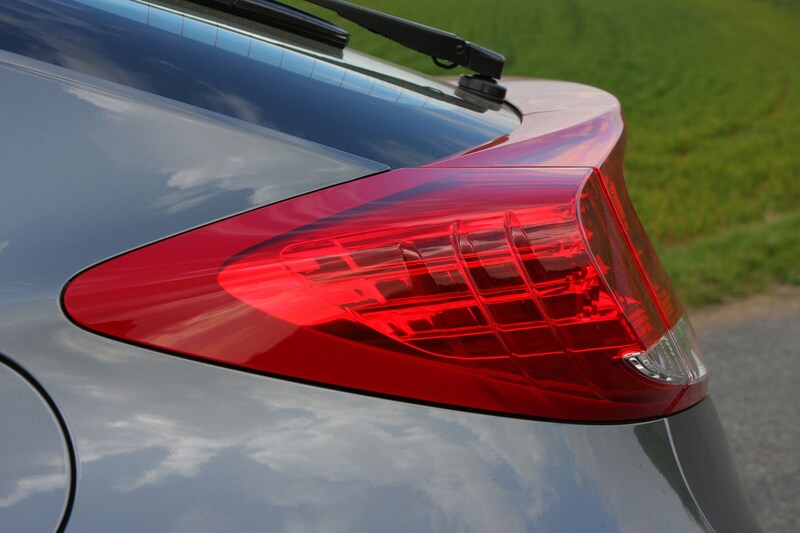 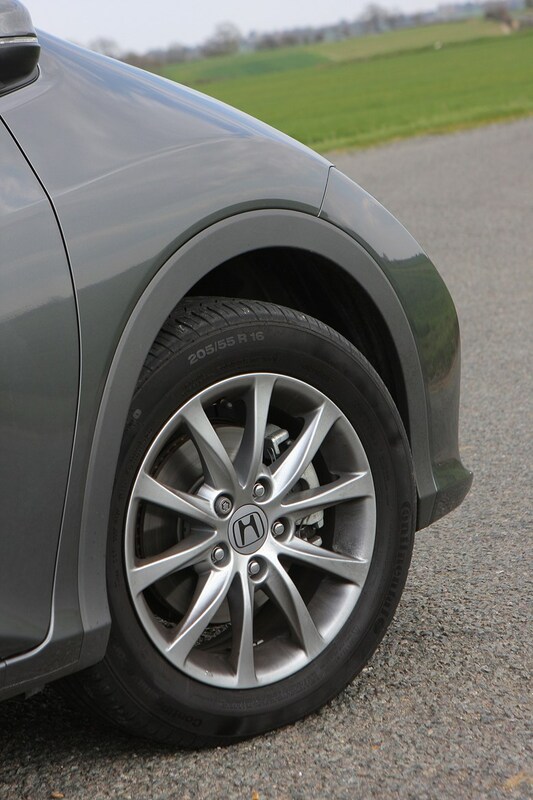 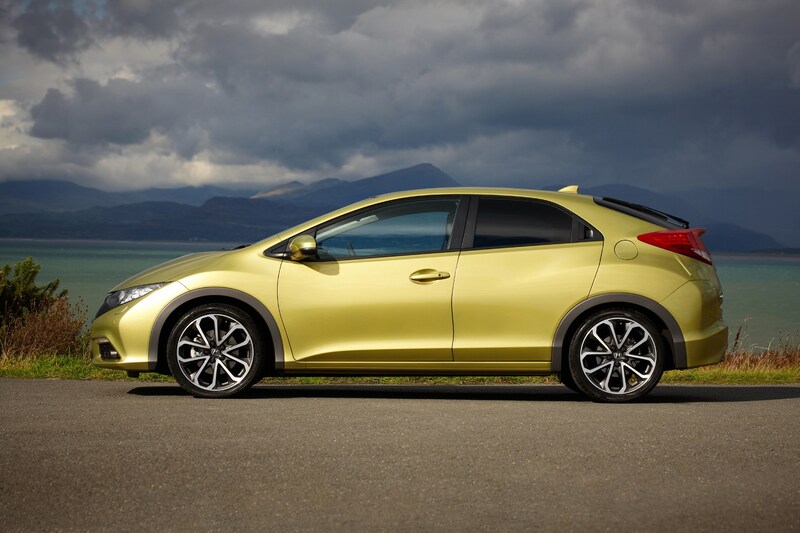 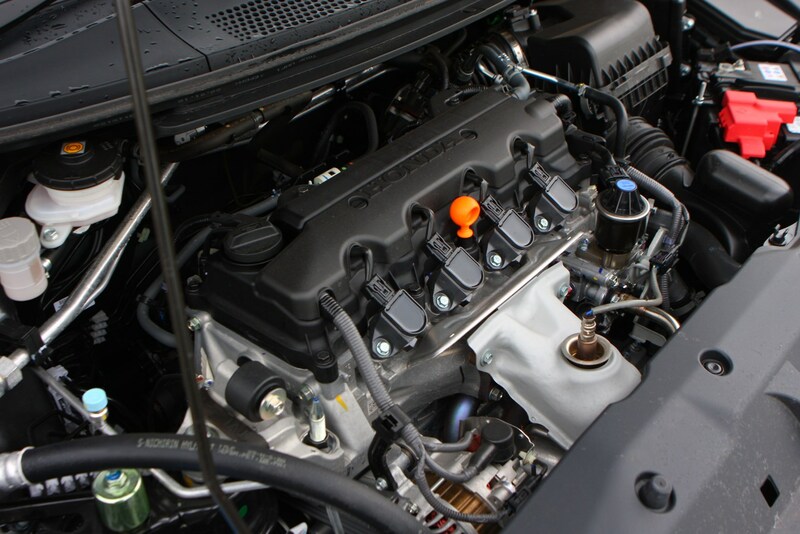 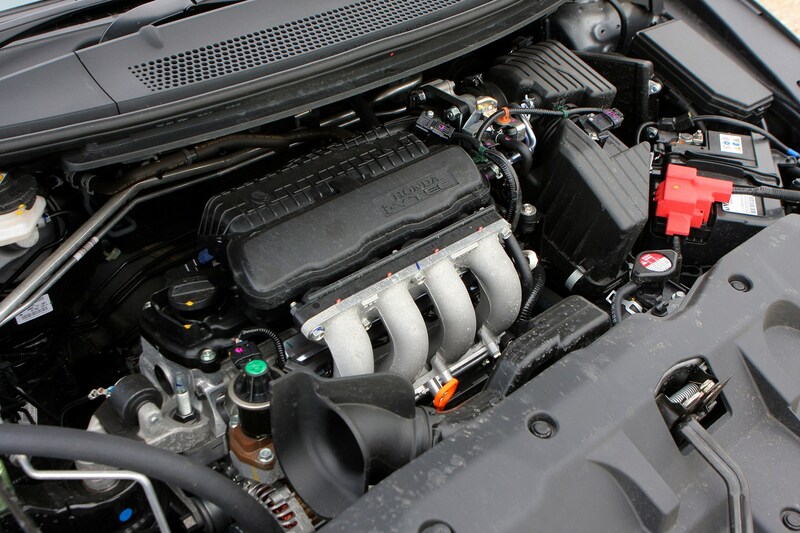 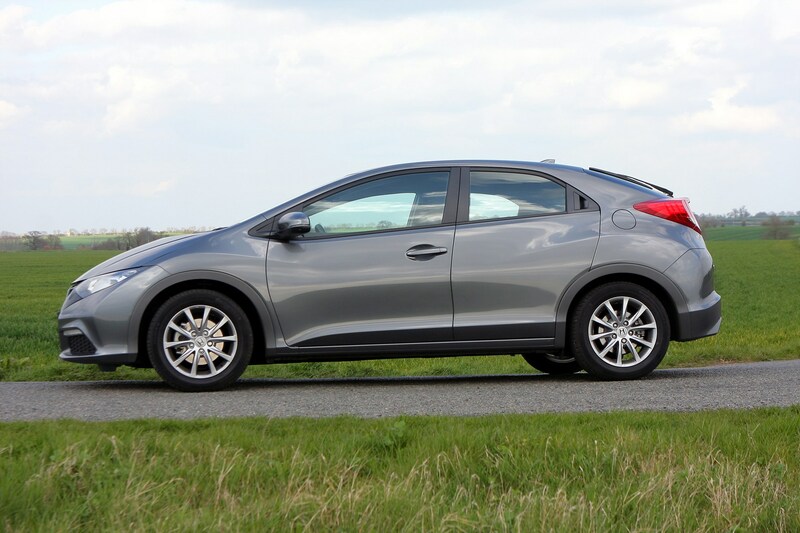 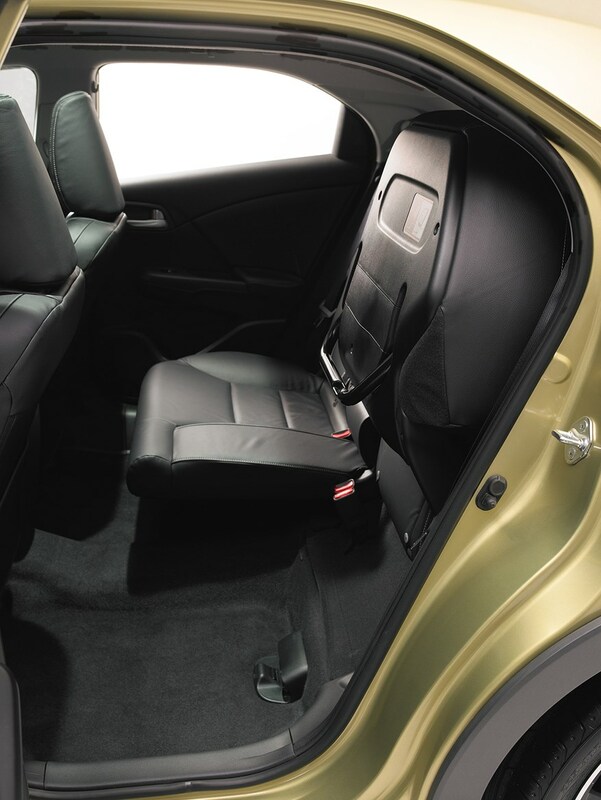 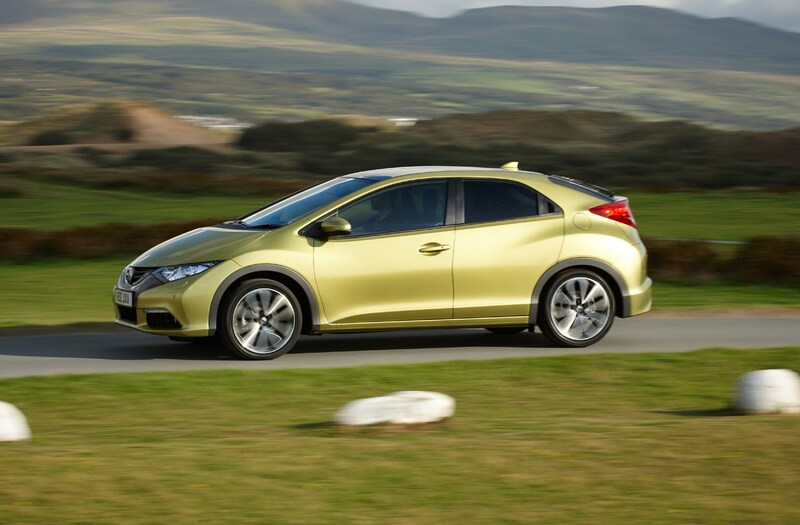 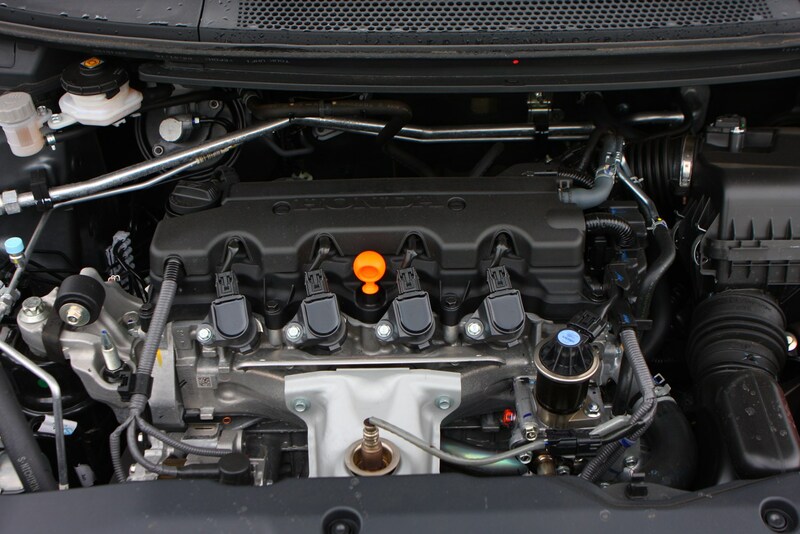 Generally, you won't go wrong with Honda Civic reliability. 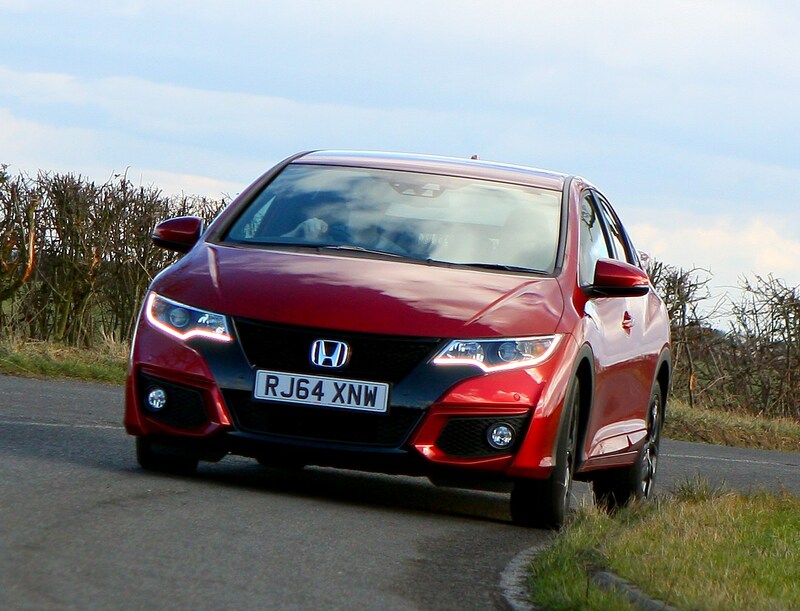 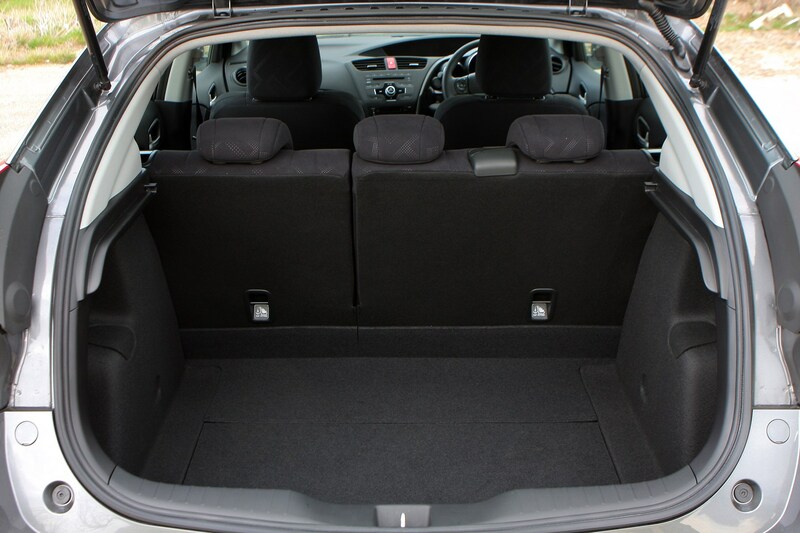 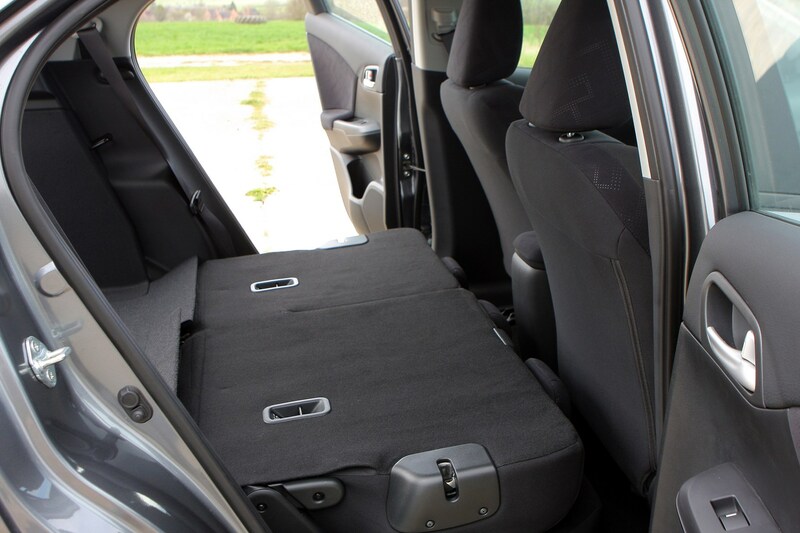 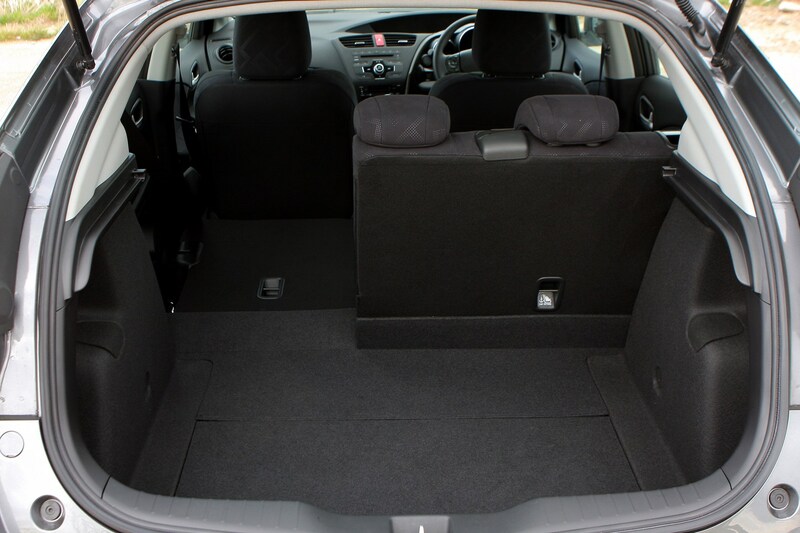 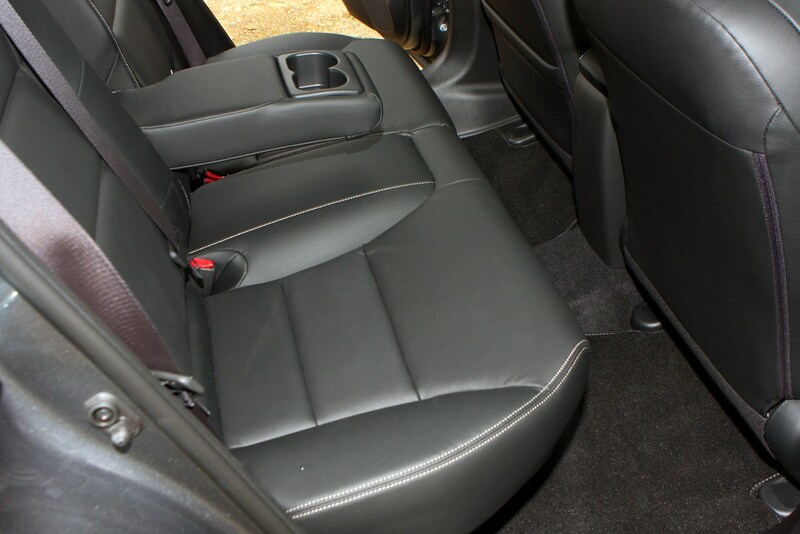 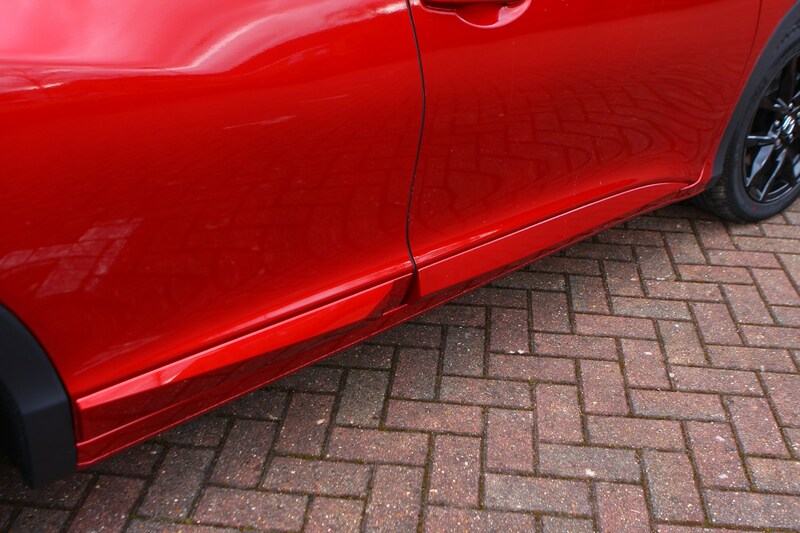 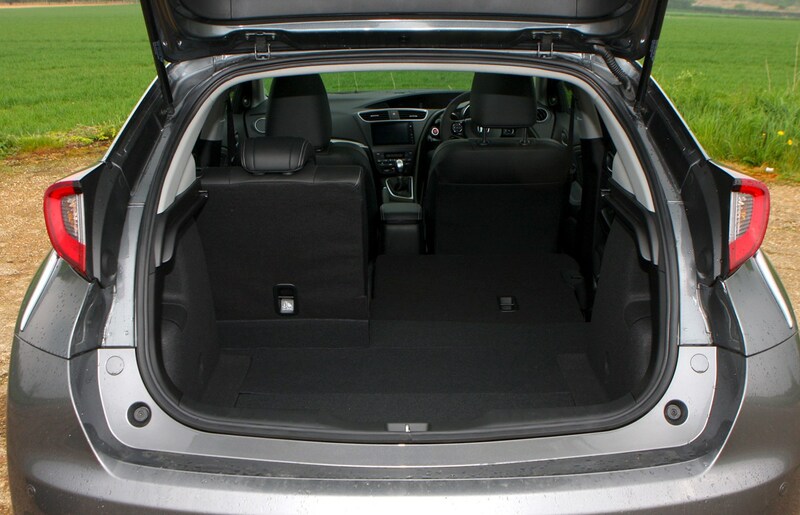 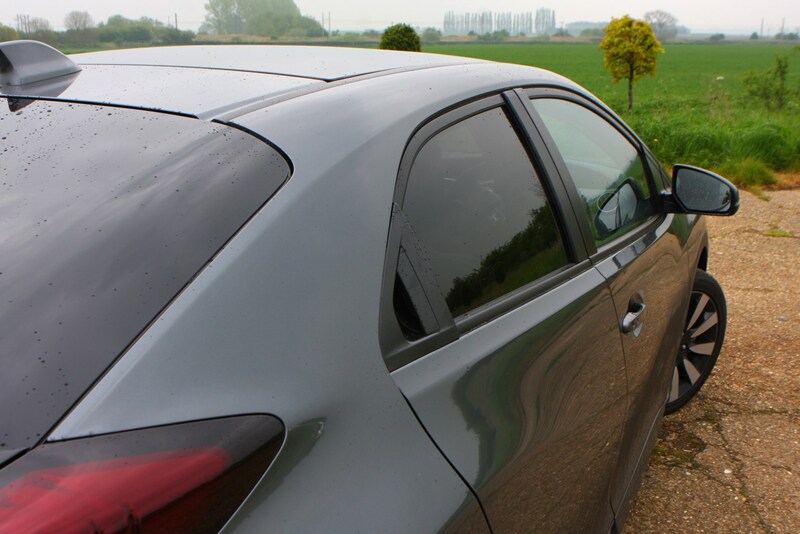 Previous form suggests you'll be able travel many miles and go through years of ownership with few headaches. 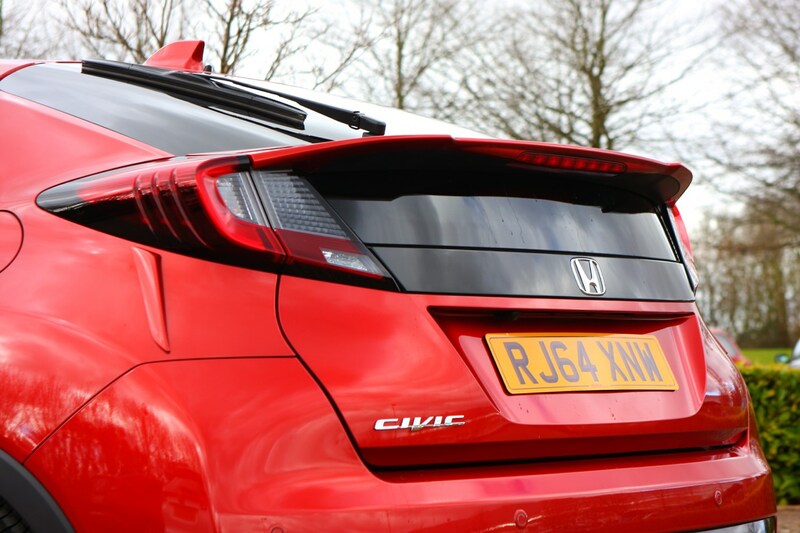 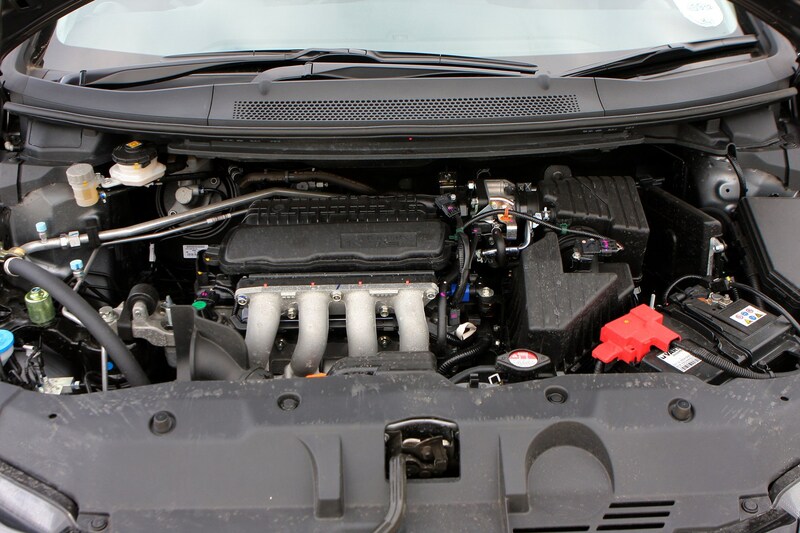 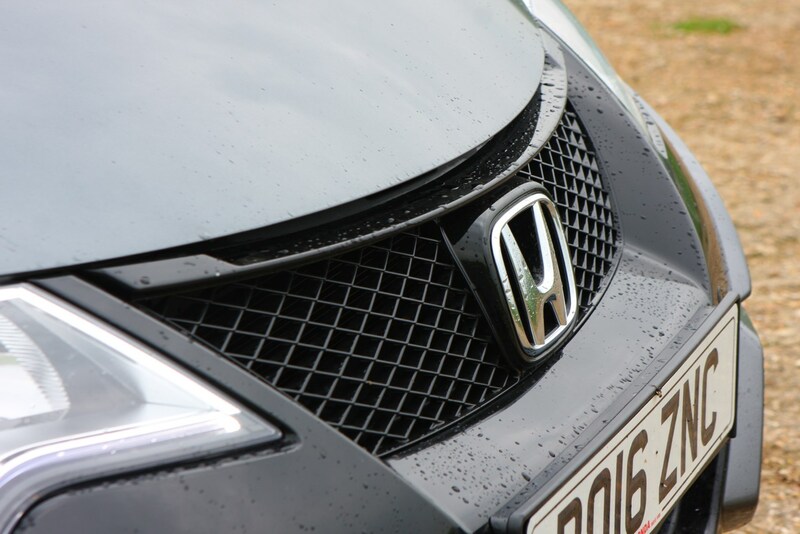 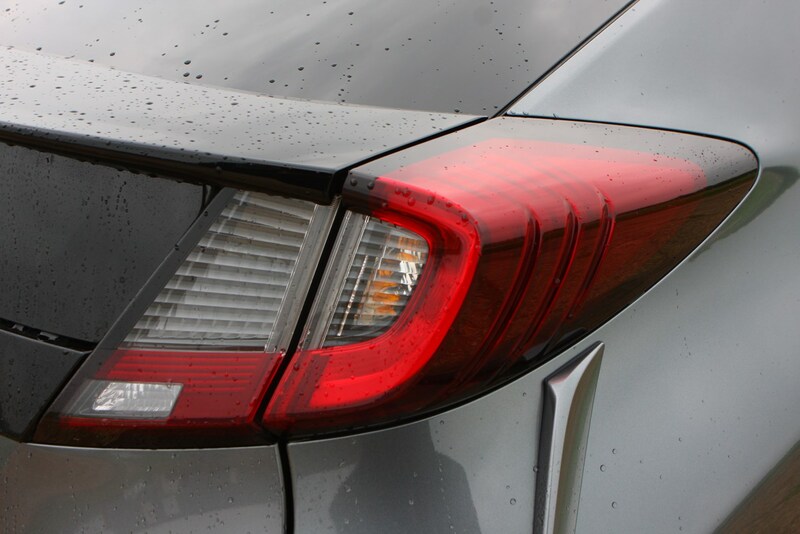 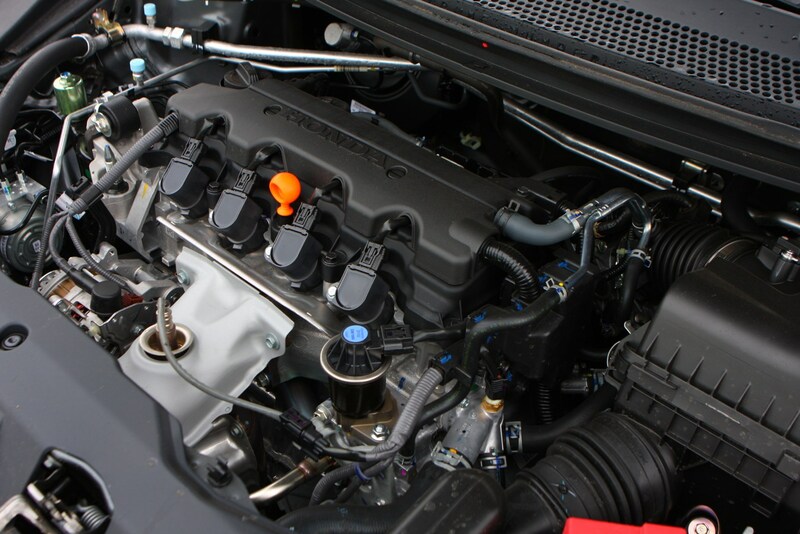 The Civic has performed very well in customer satisfaction and reliability surveys, as has Honda as a brand, with the Jazz and CR-V nameplates becoming synonymous with reliability.The only issue, as with many brands, is potentially some work required to fix an official recall (see below). 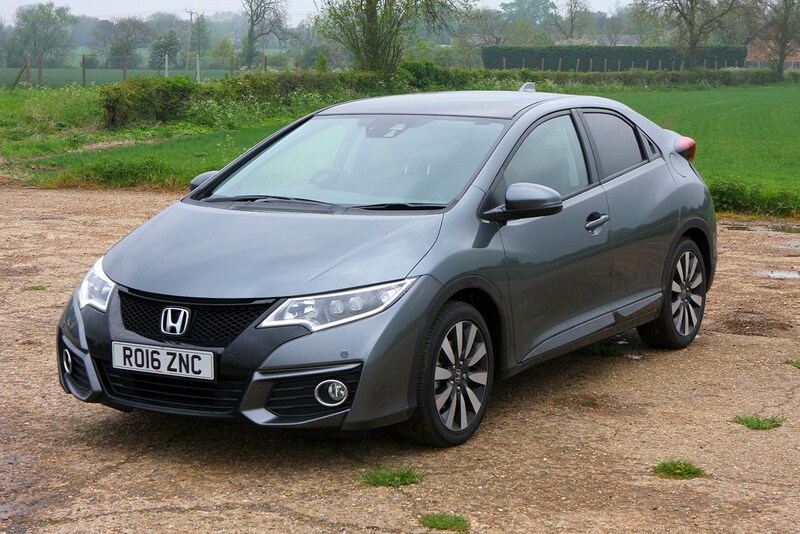 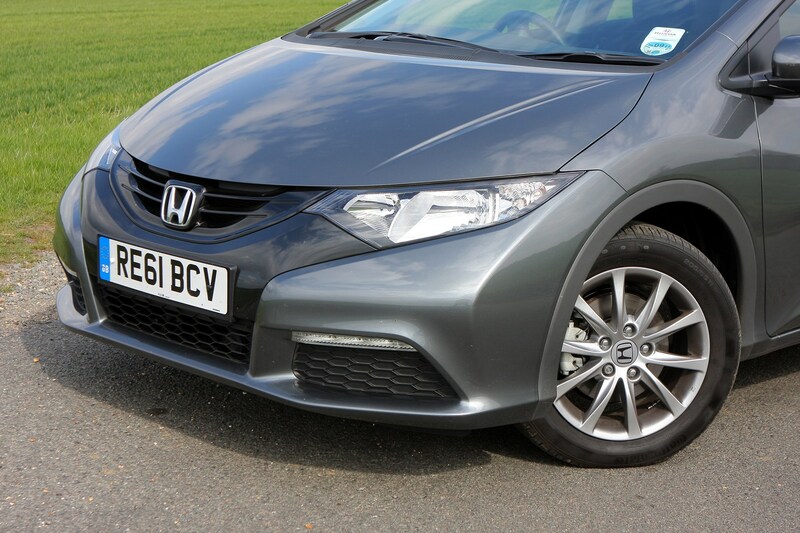 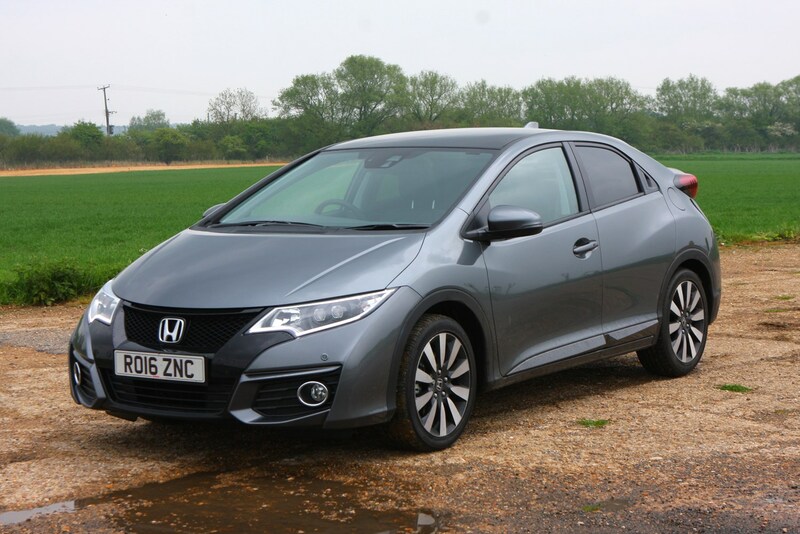 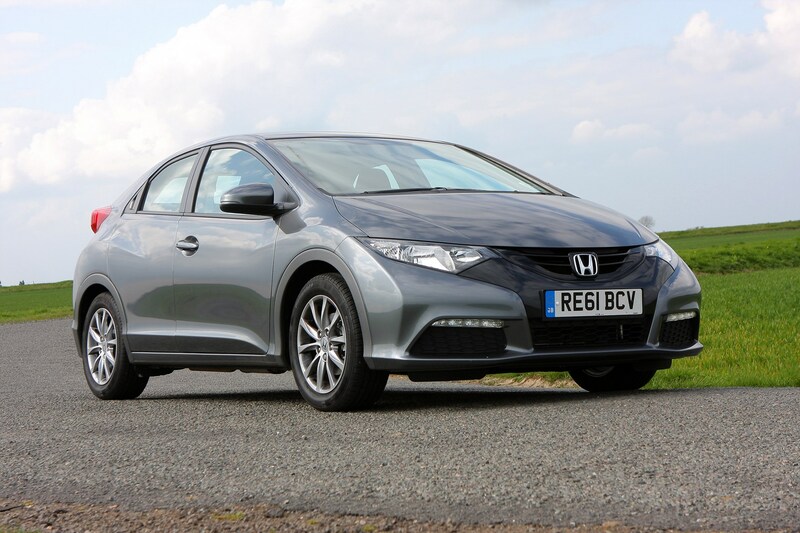 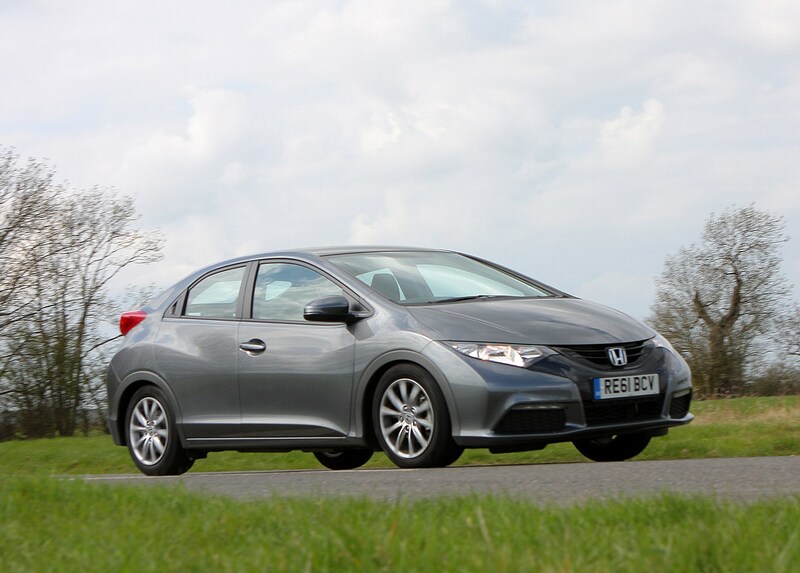 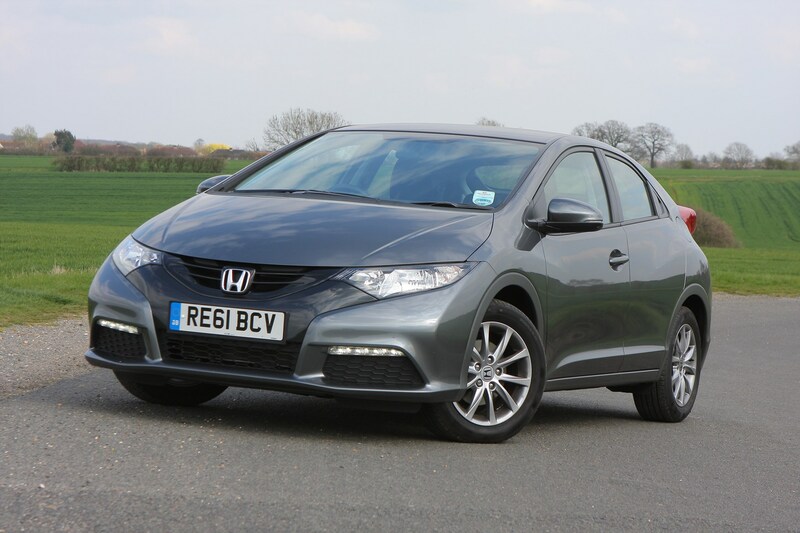 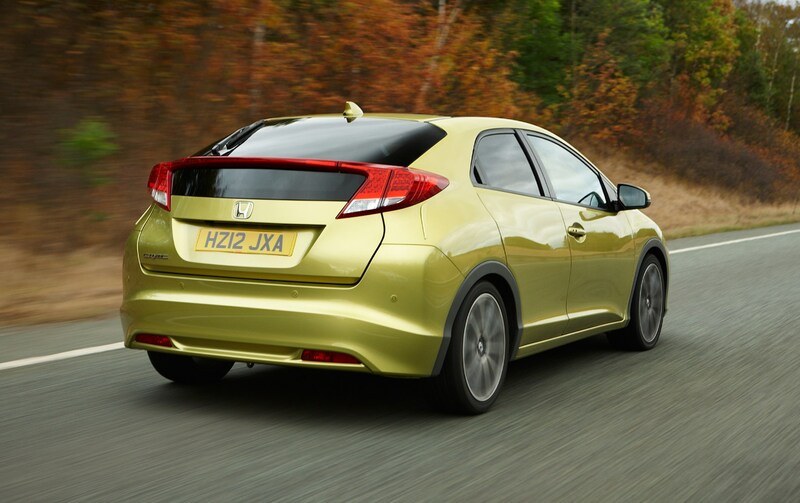 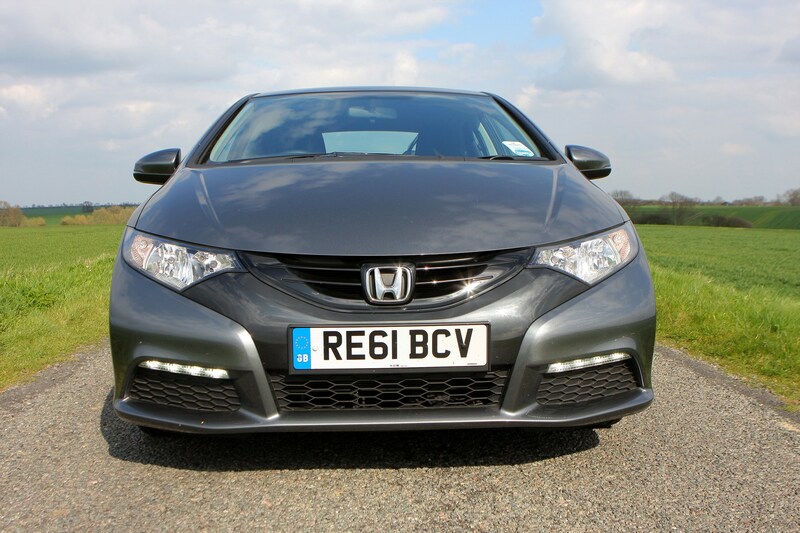 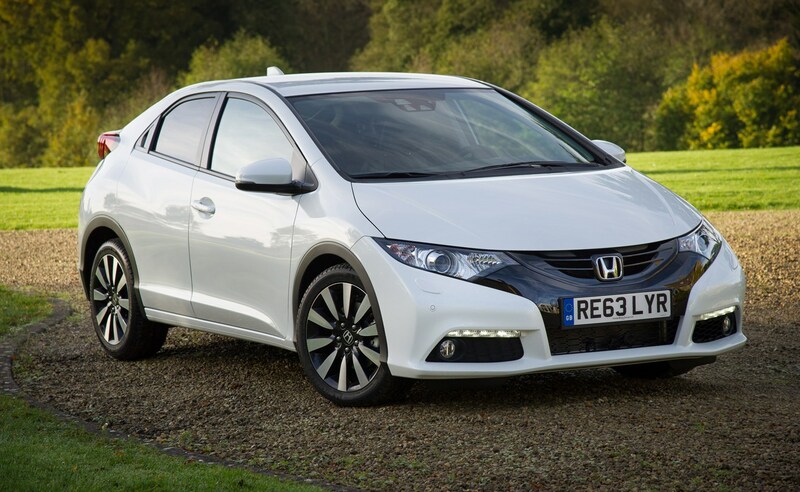 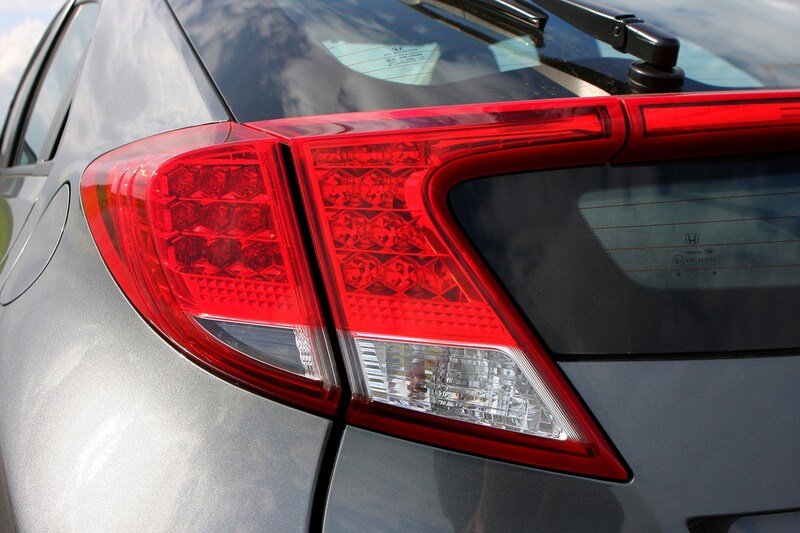 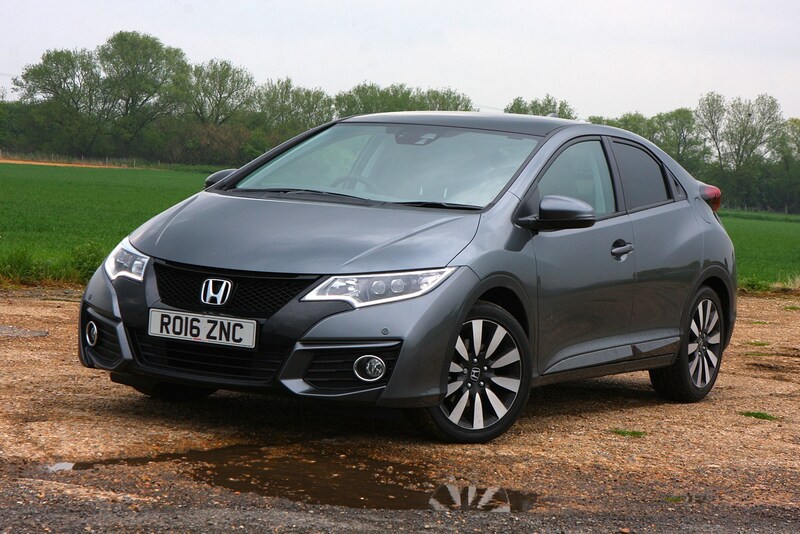 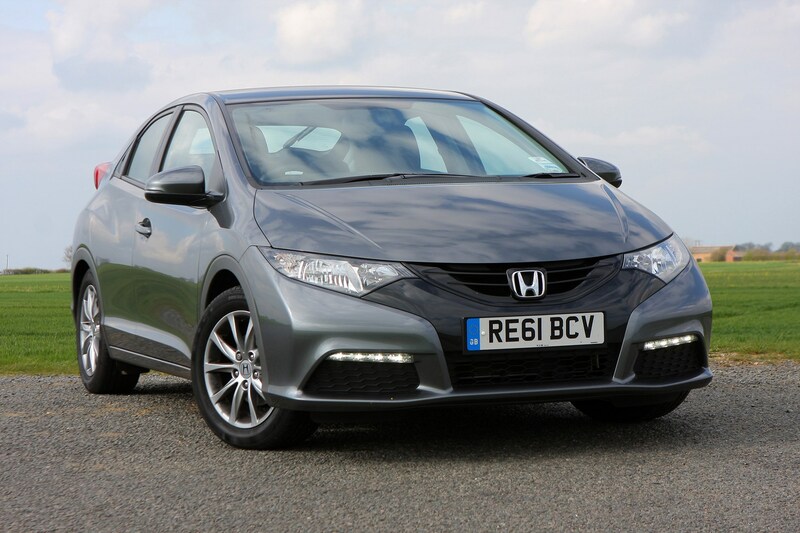 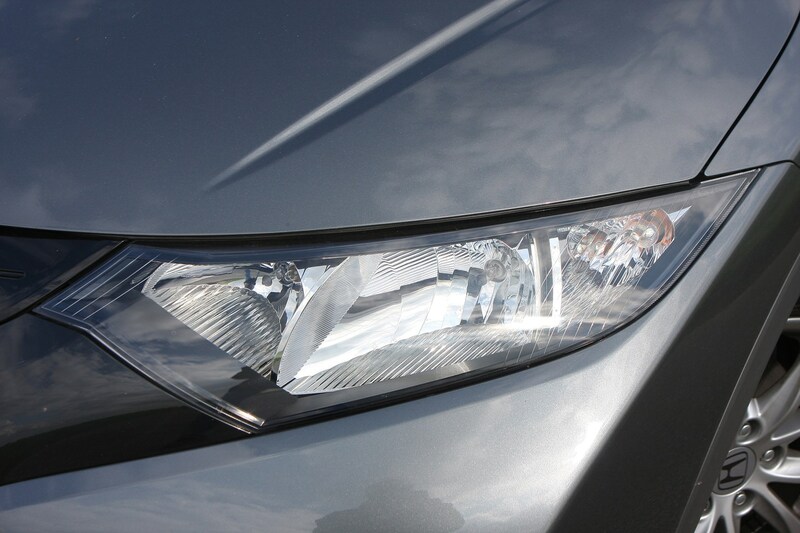 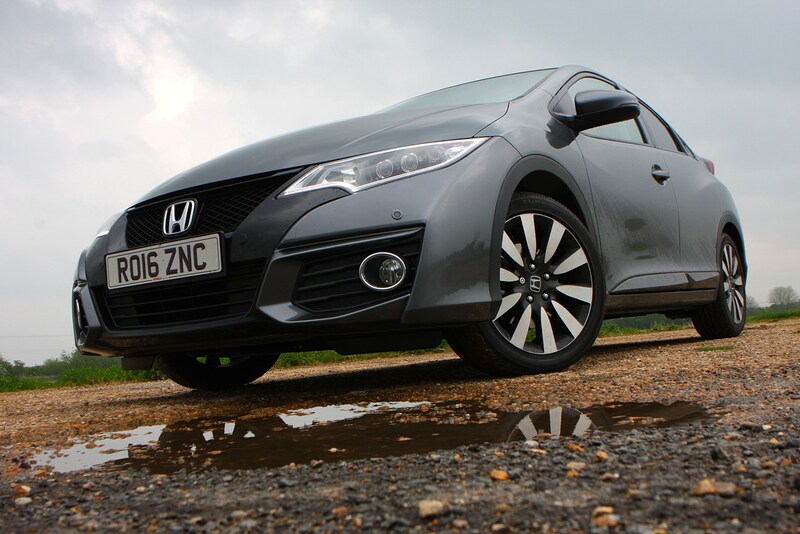 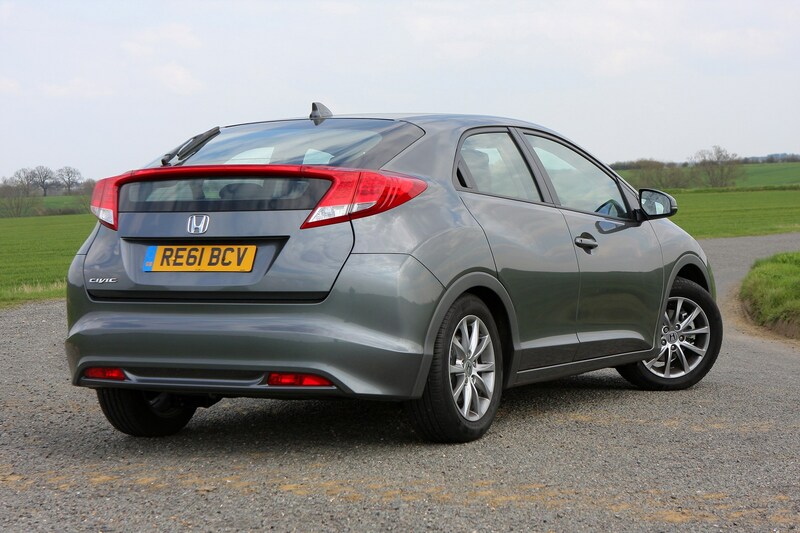 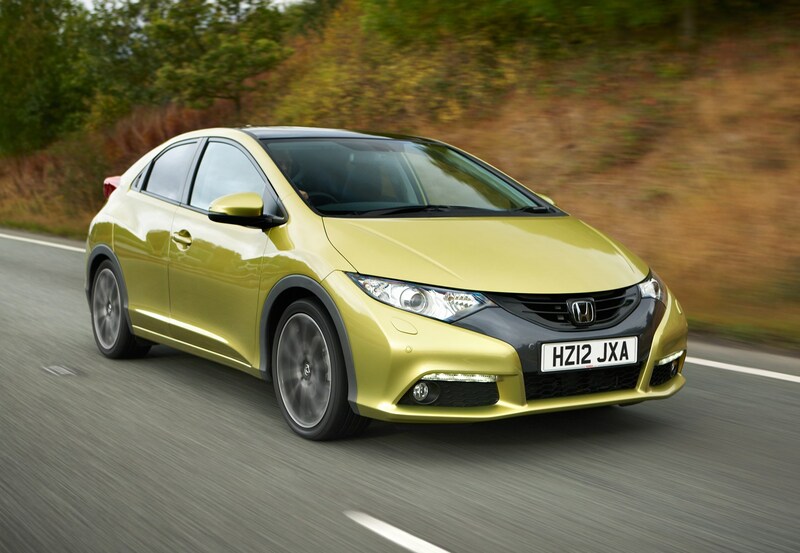 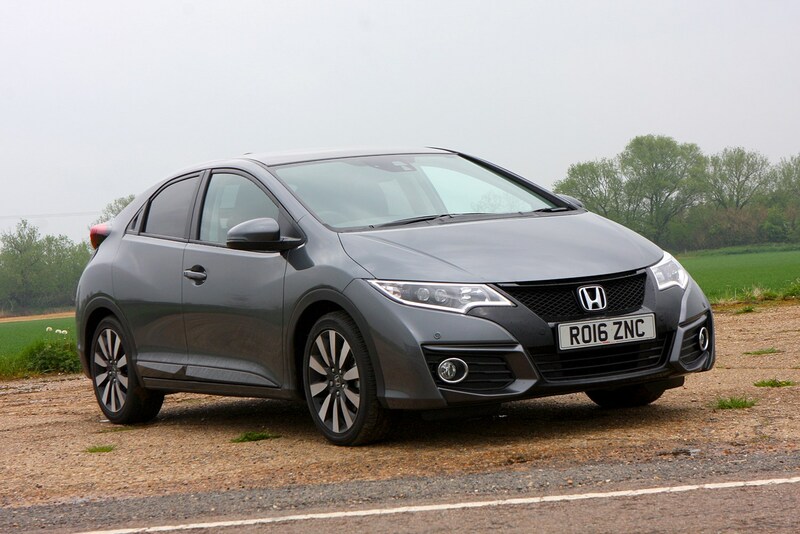 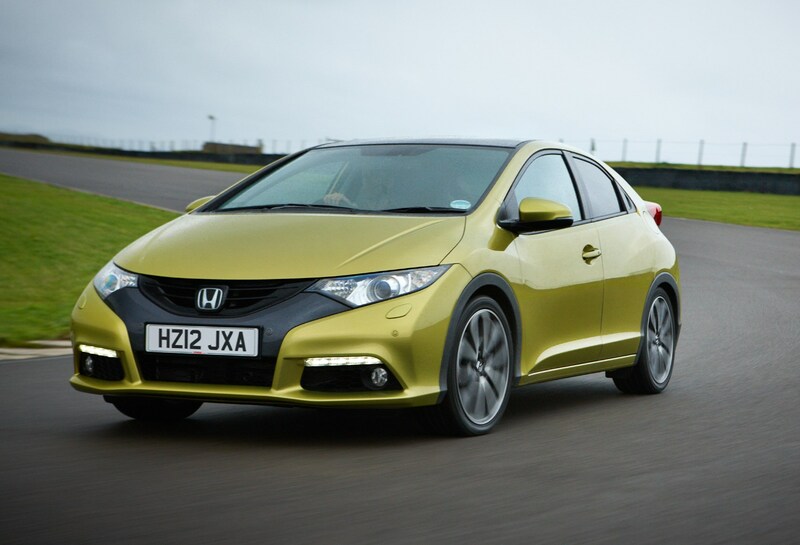 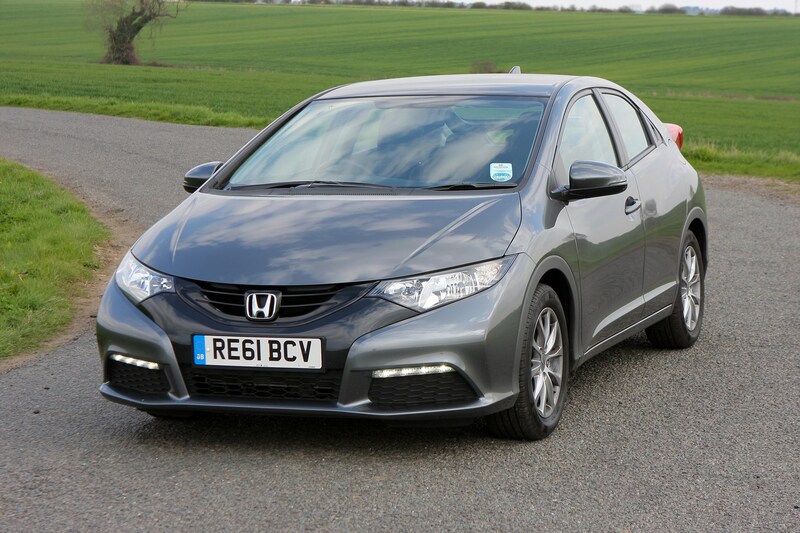 There have been three recalls to date for the Honda Civic launched in 2012. 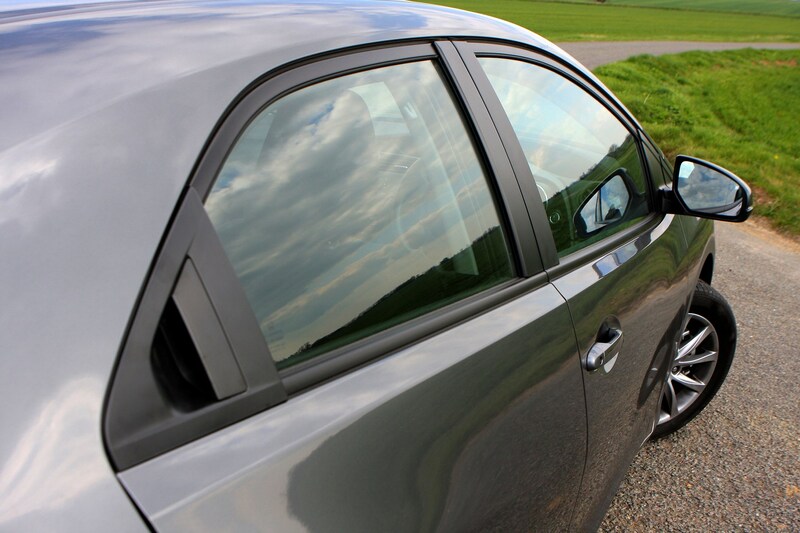 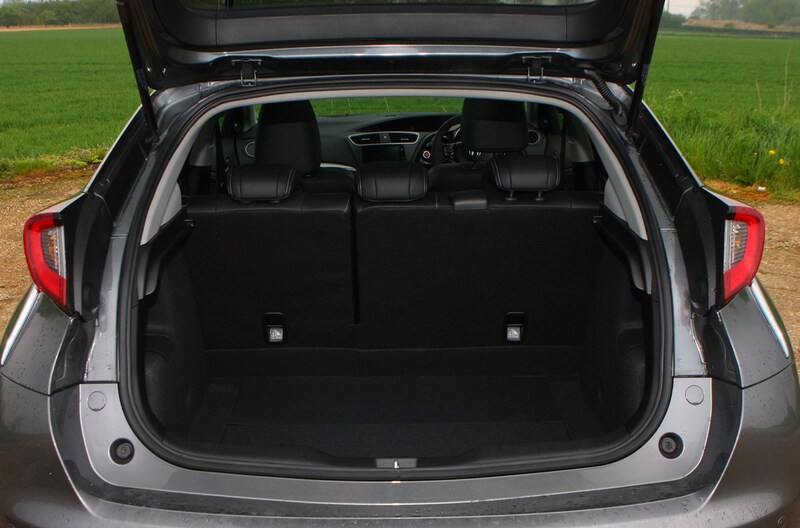 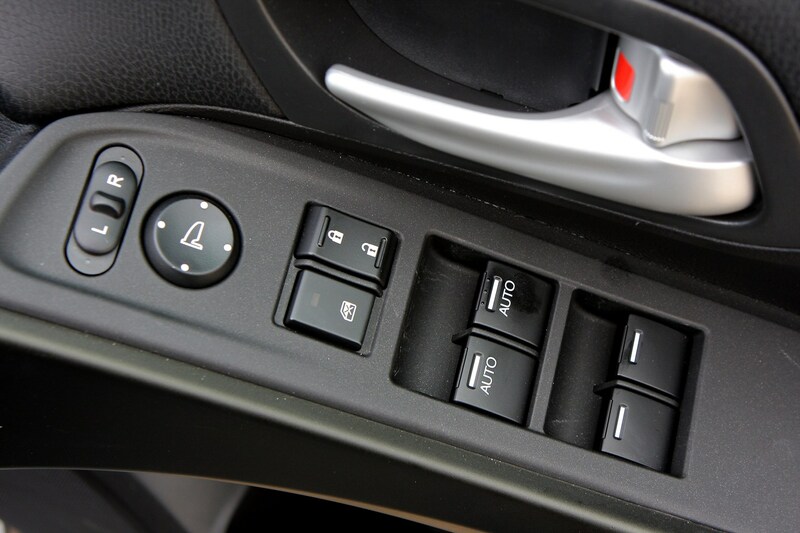 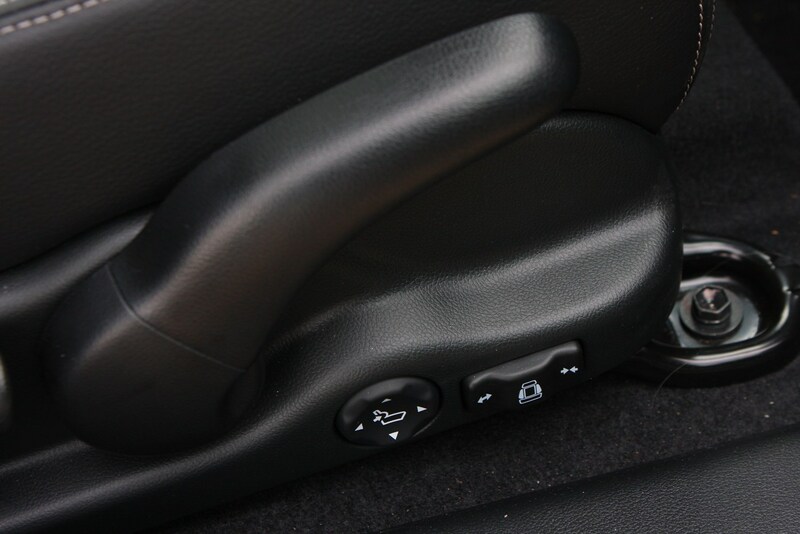 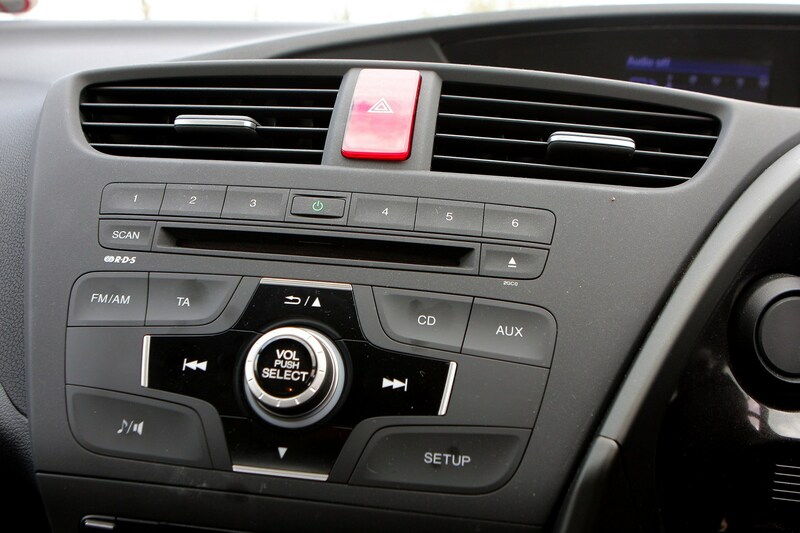 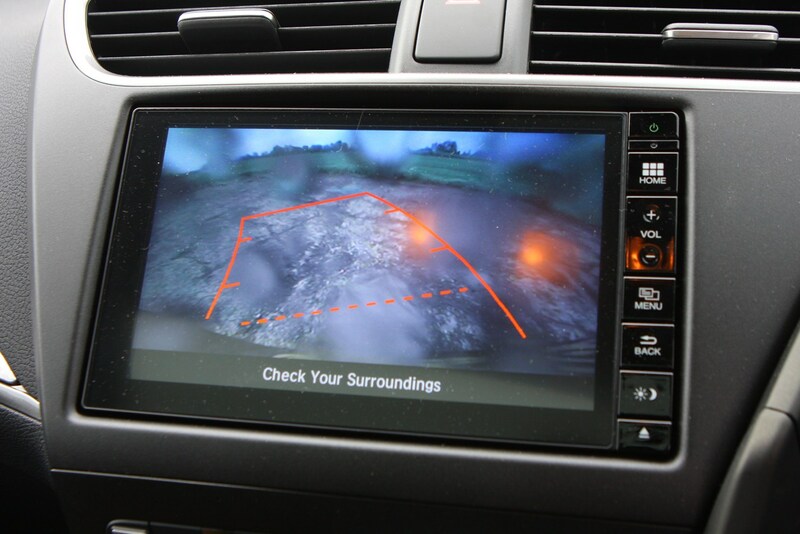 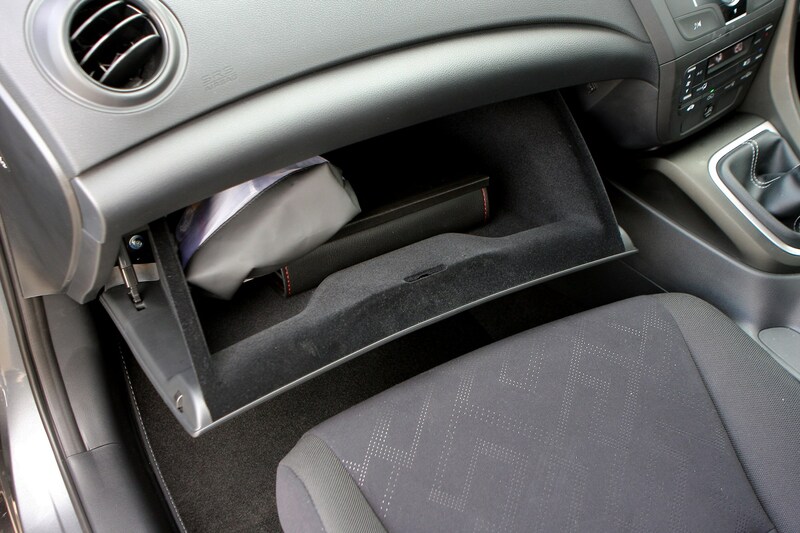 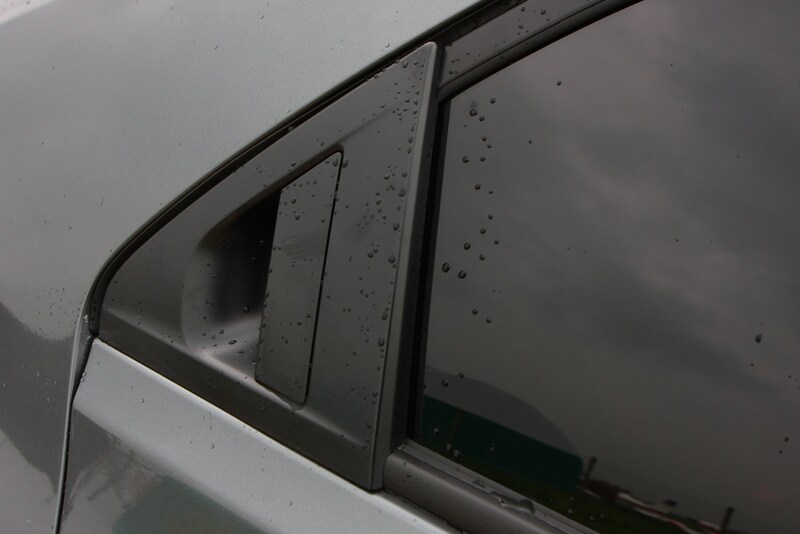 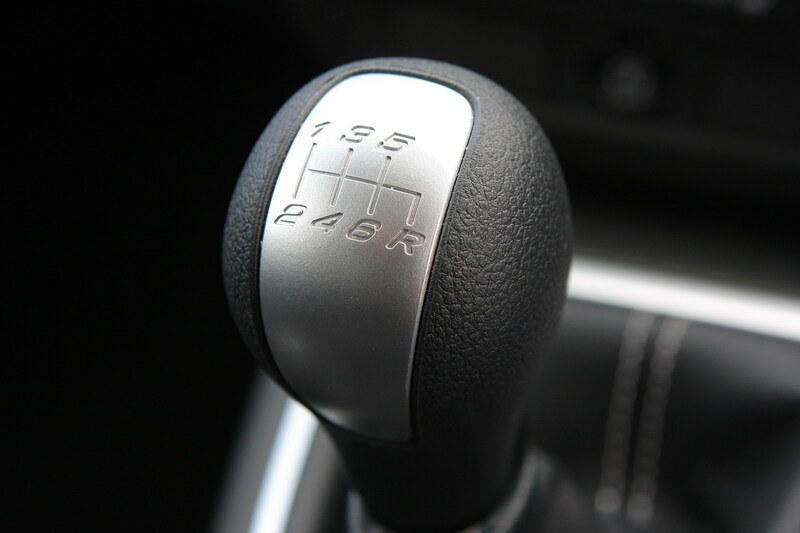 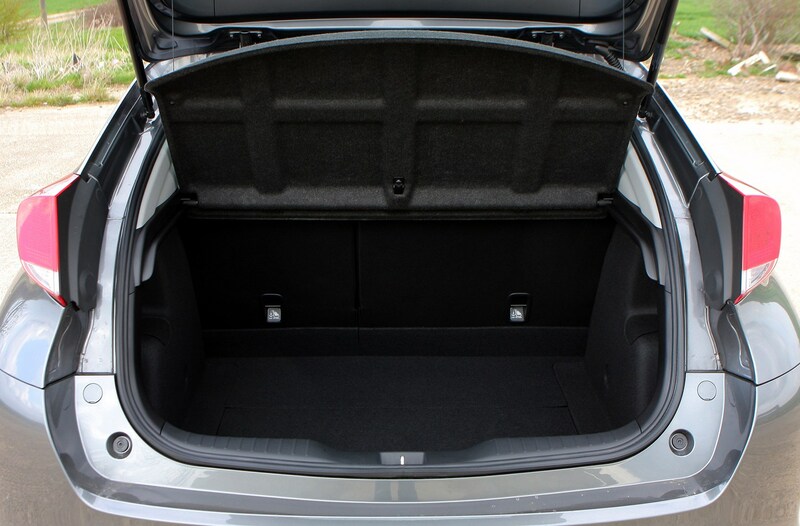 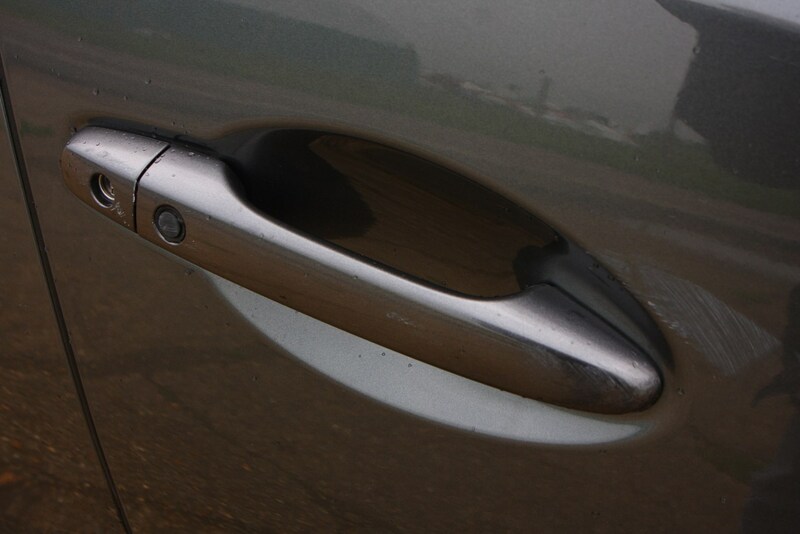 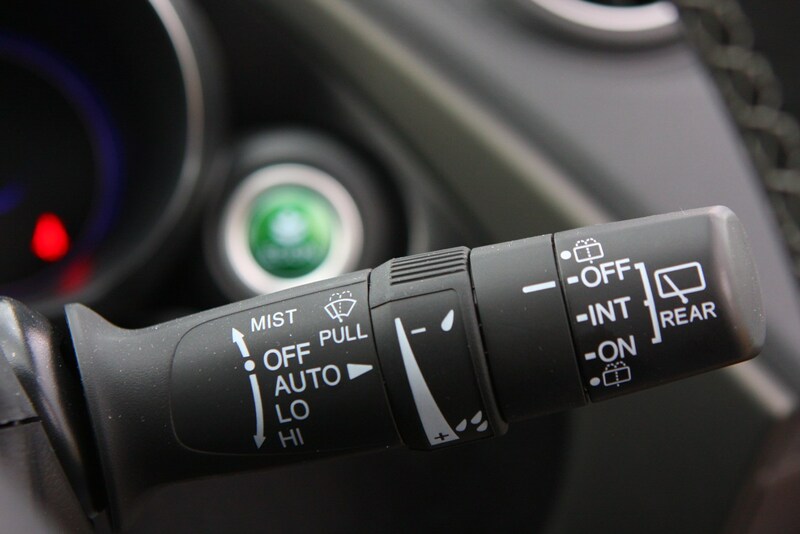 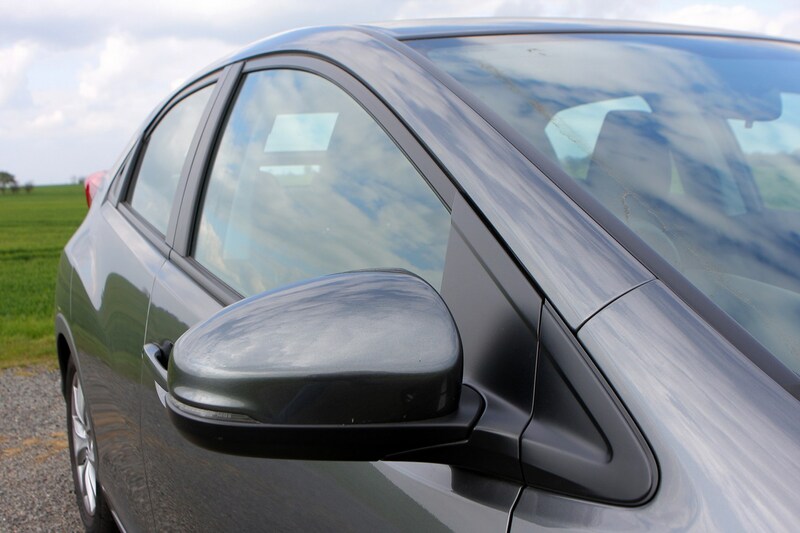 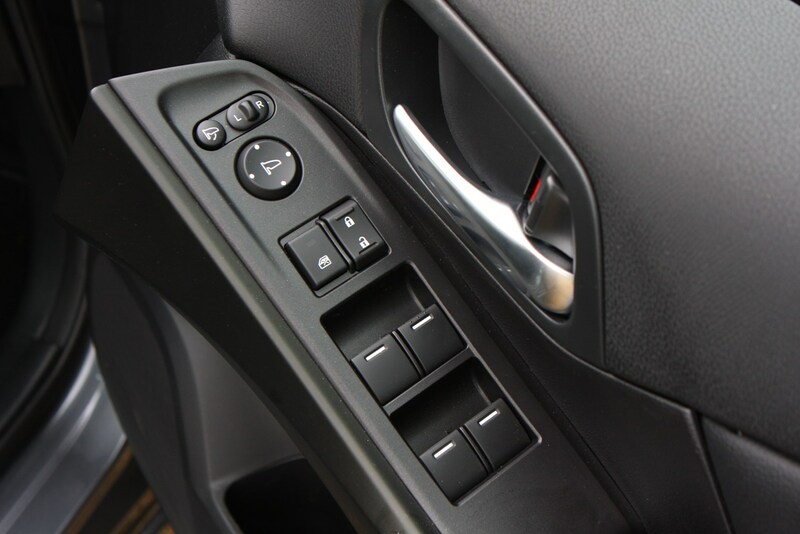 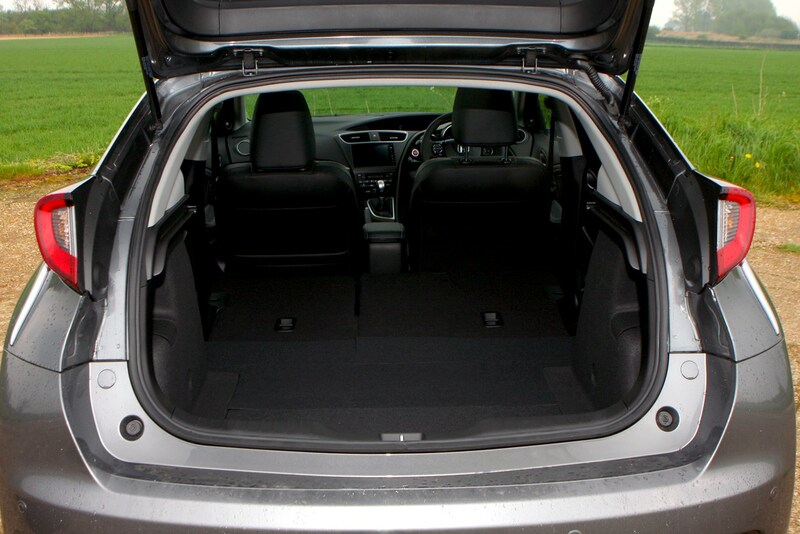 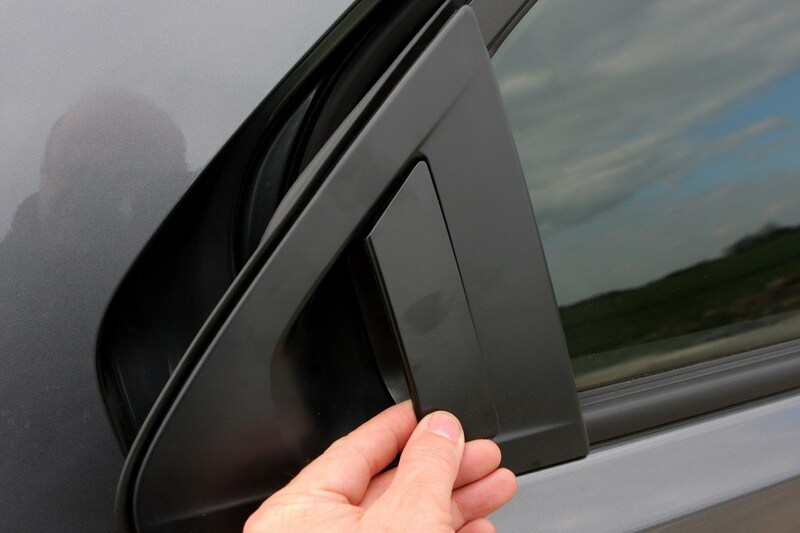 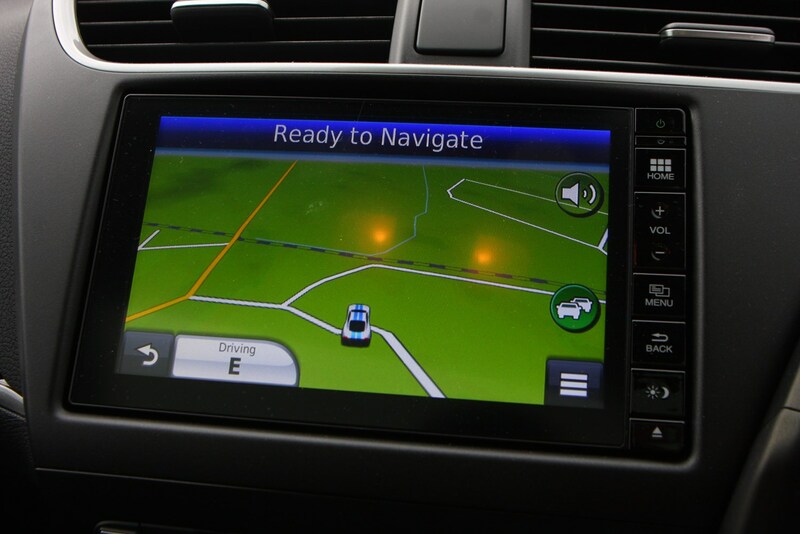 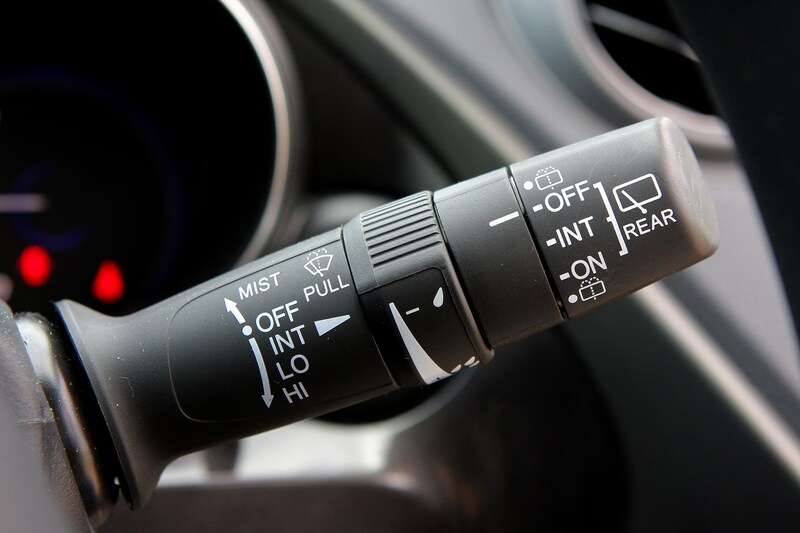 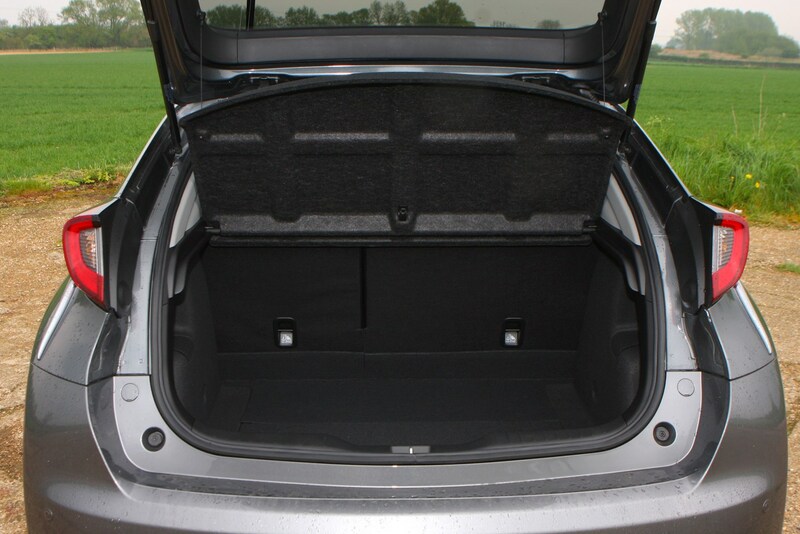 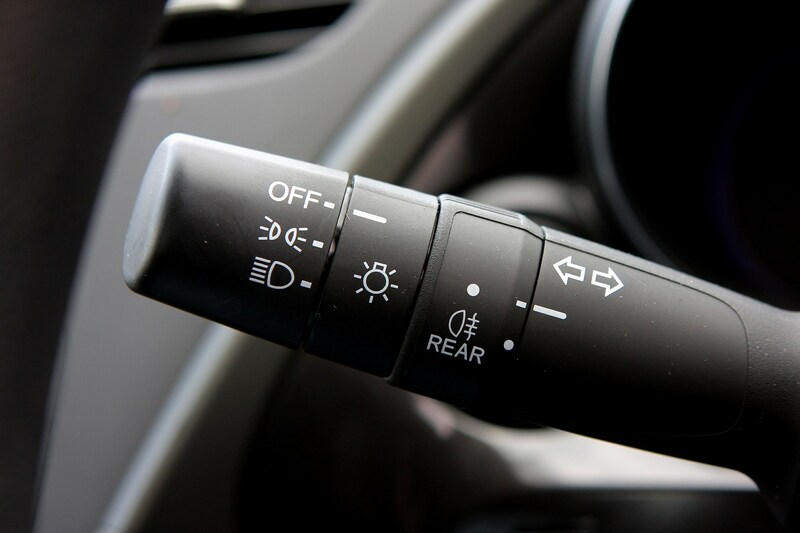 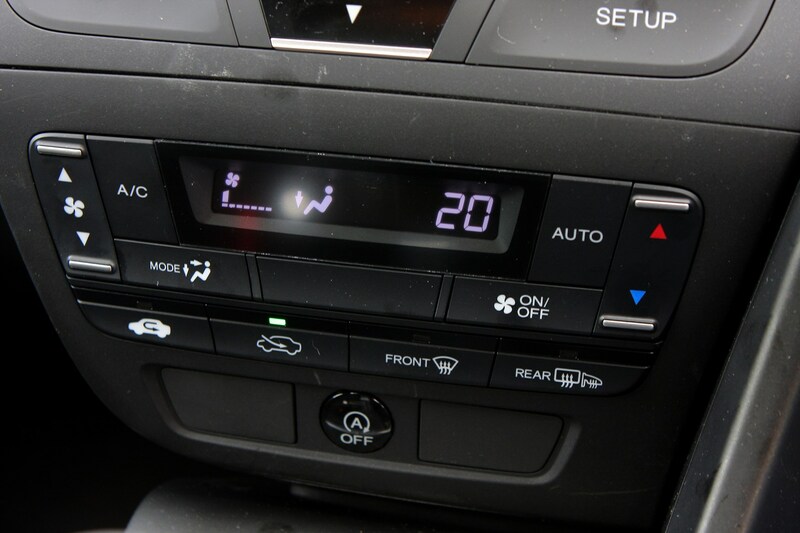 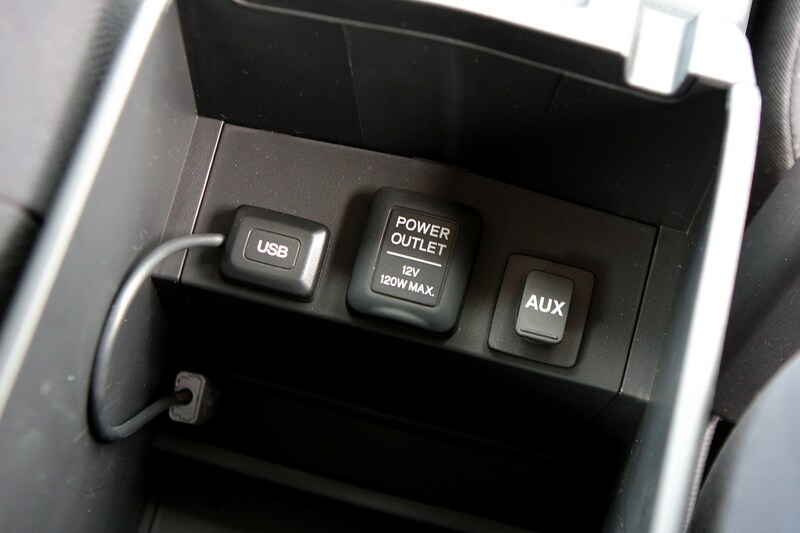 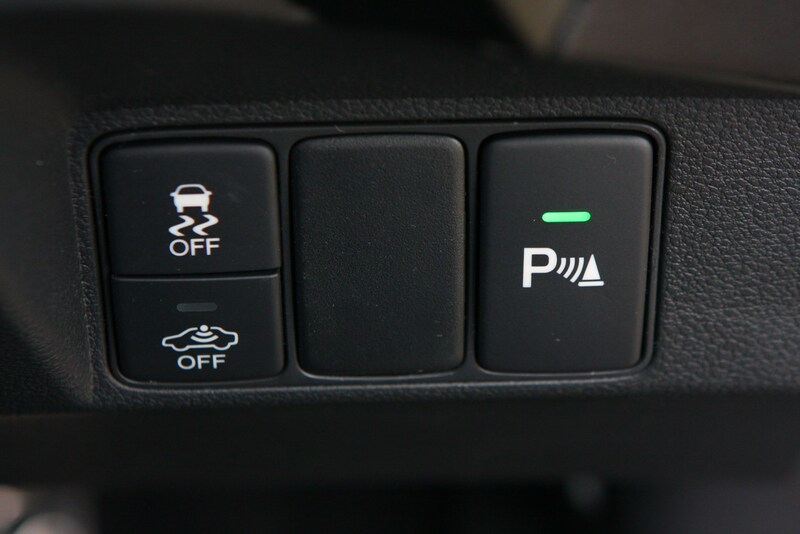 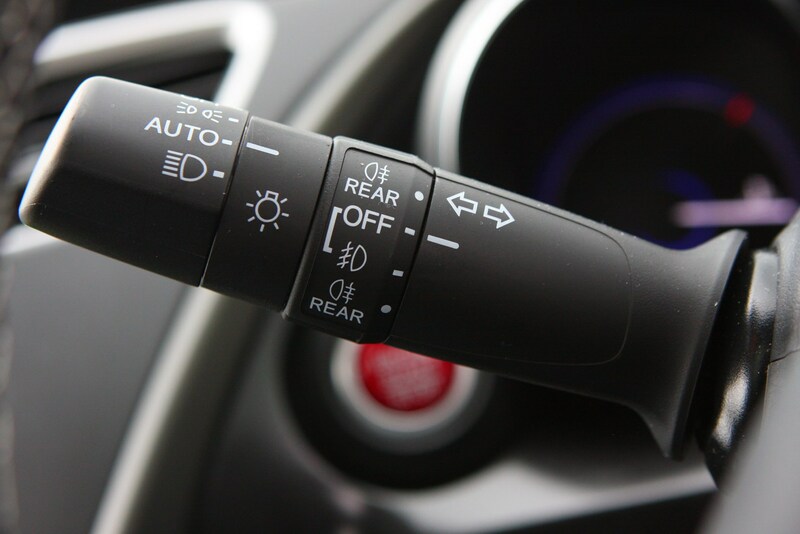 The gear indicatior may indicate neutral when the car is actually in reverse. 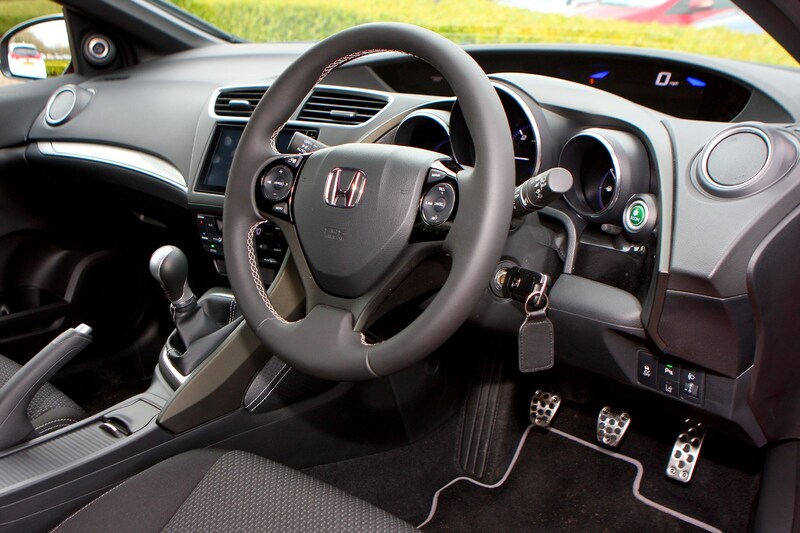 One to fix a potentially faulty passenger airbag that may not deploy correctly and one for the driver's airbag where the inflator may rupture if deployed. 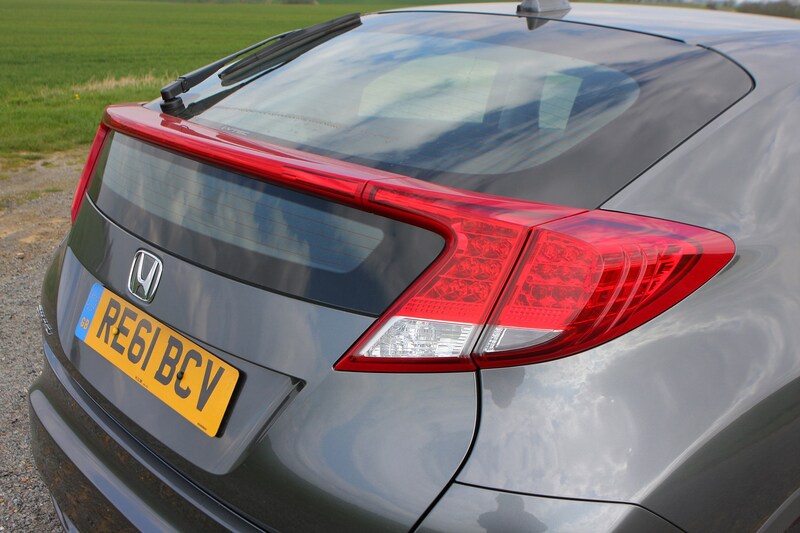 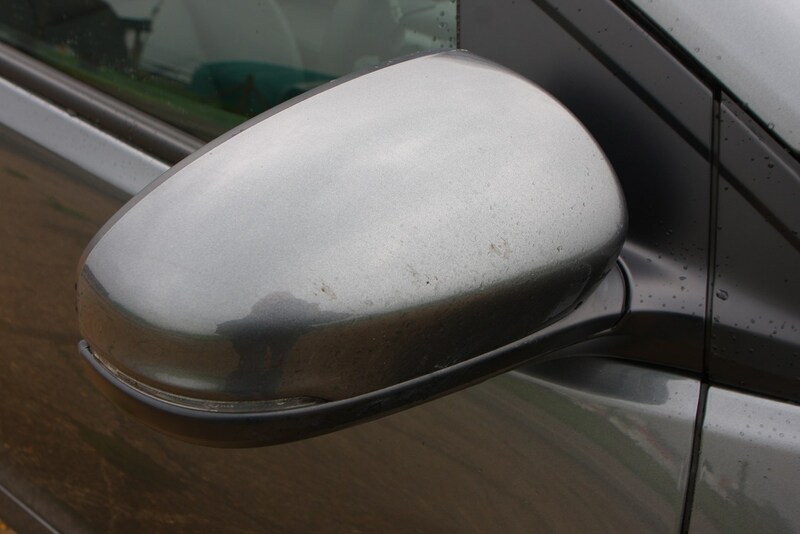 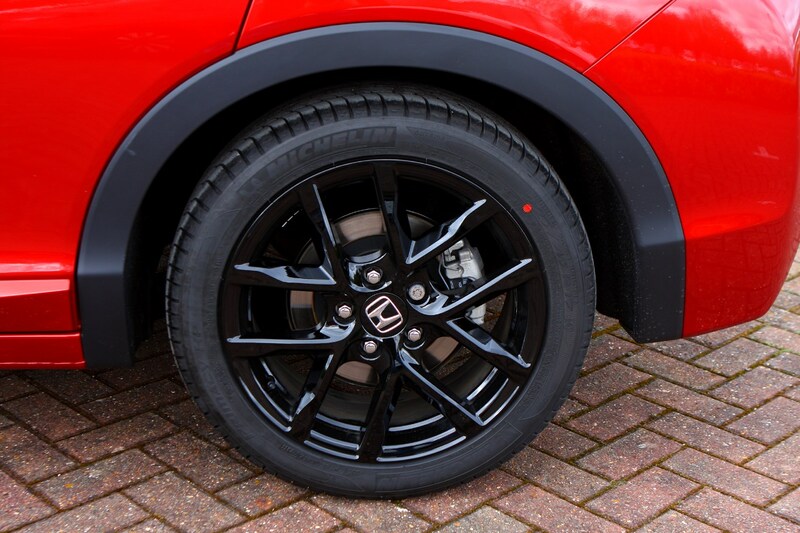 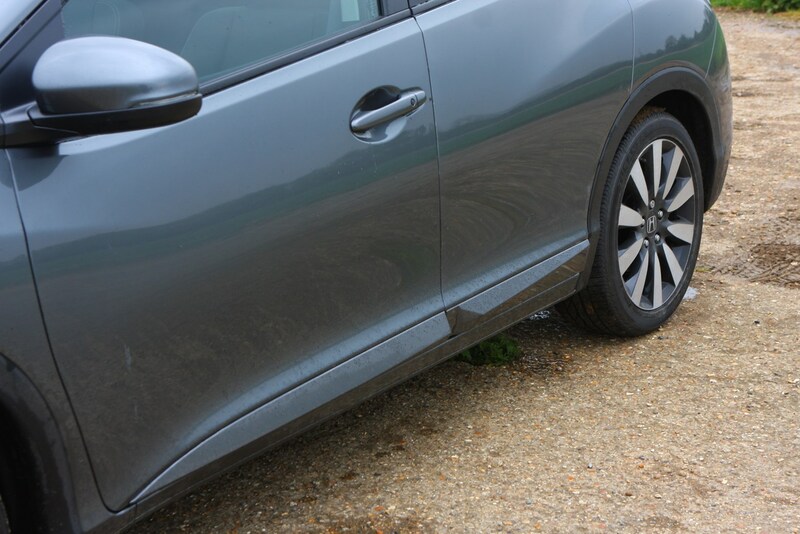 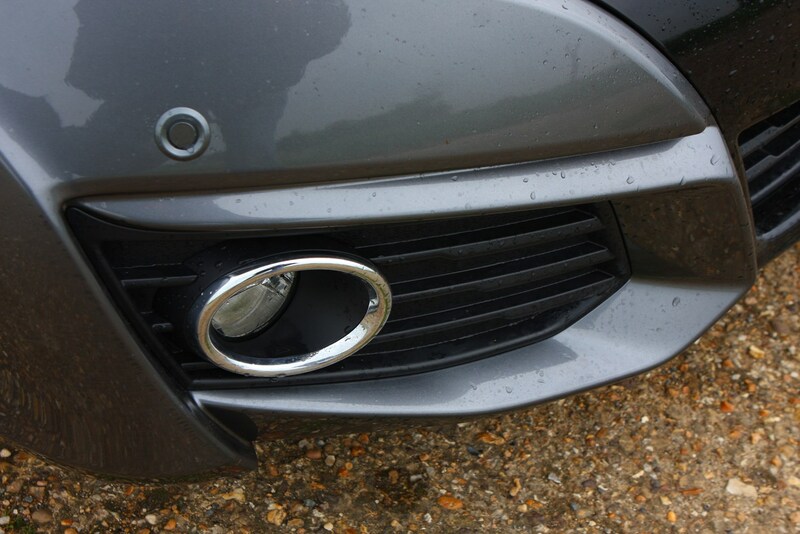 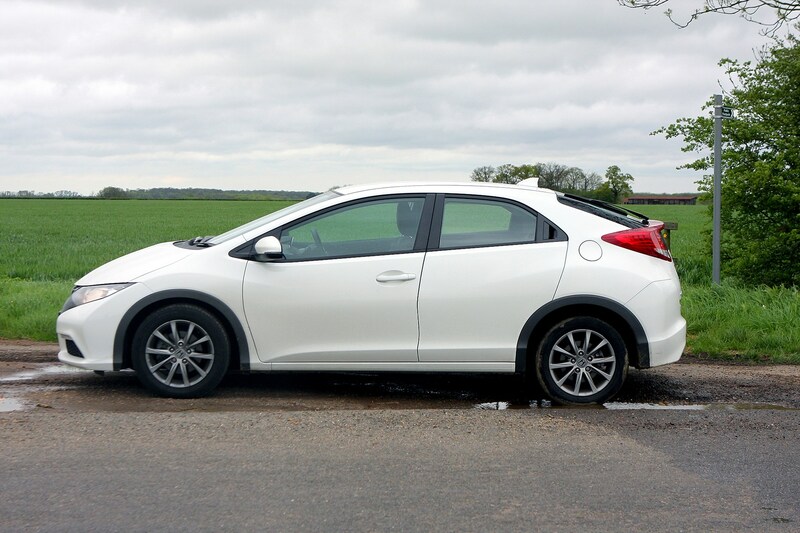 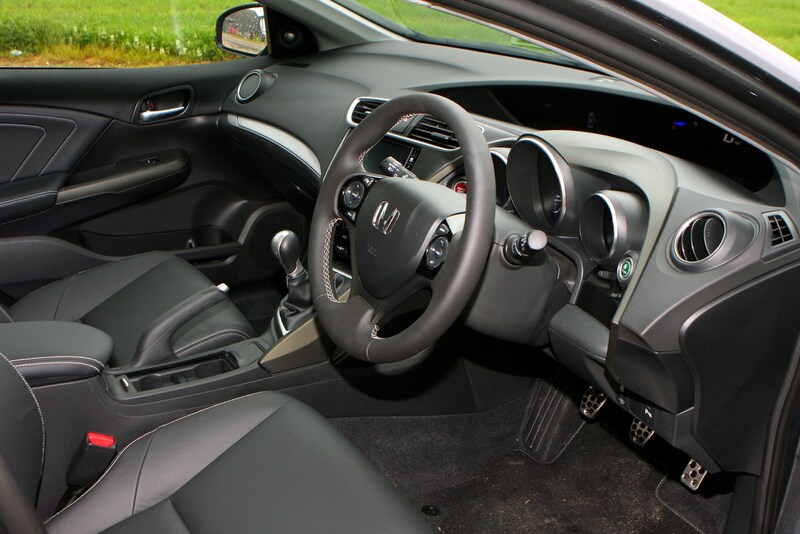 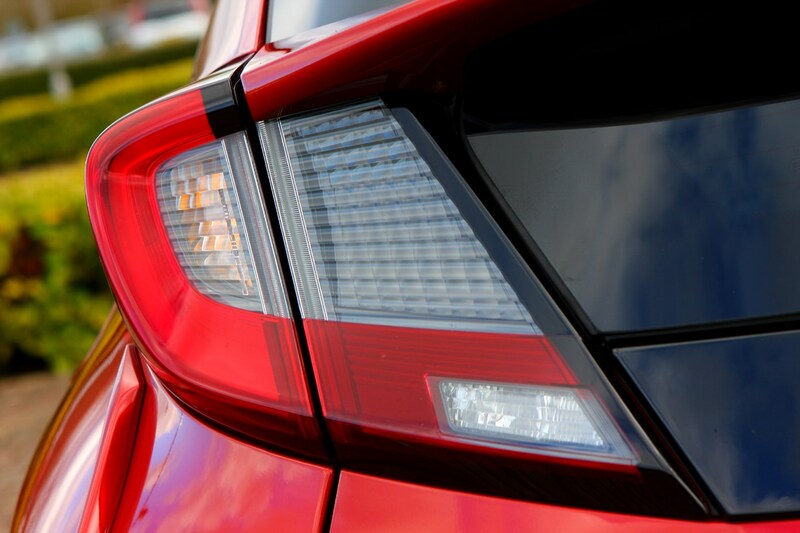 It is very important to make sure the recall work has been carried out by an authorised repairer such as a Honda dealership. 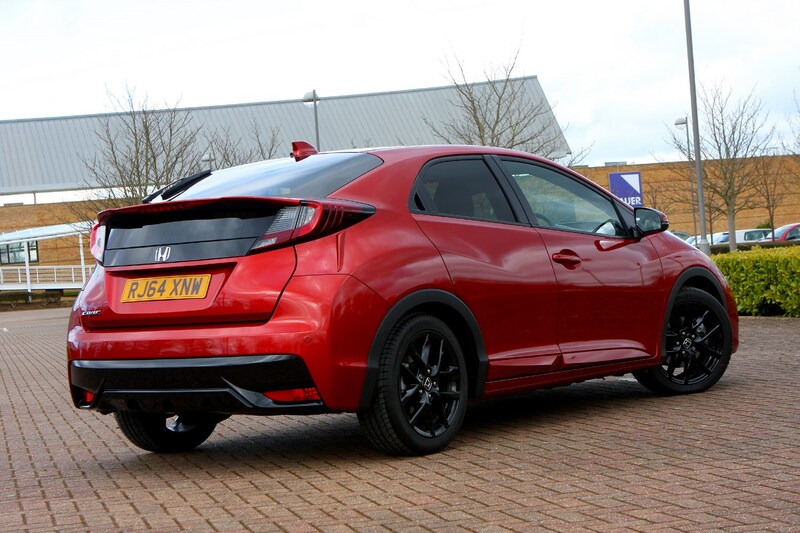 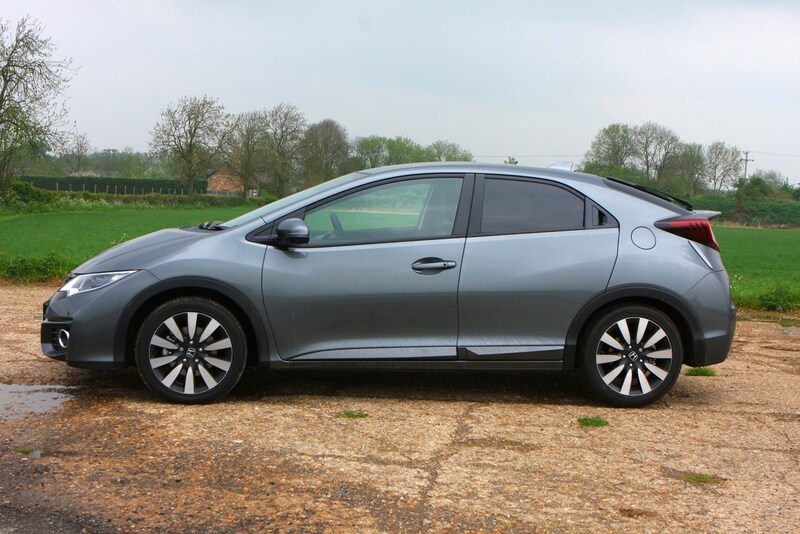 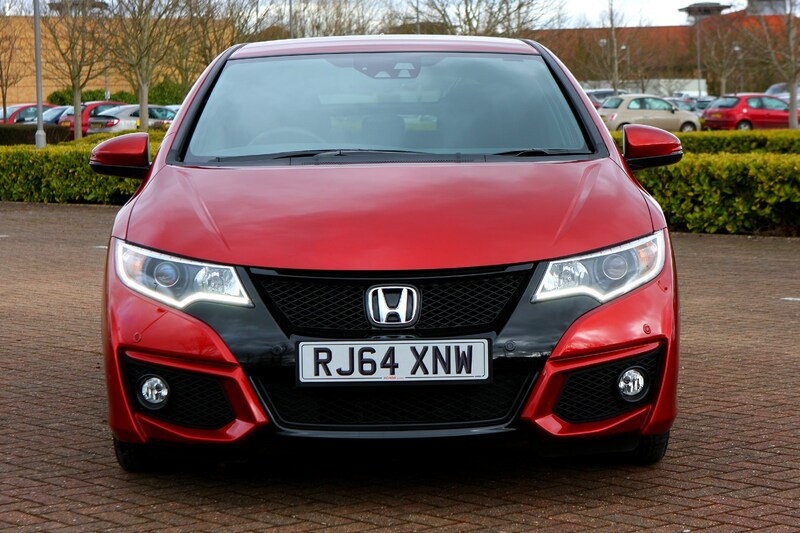 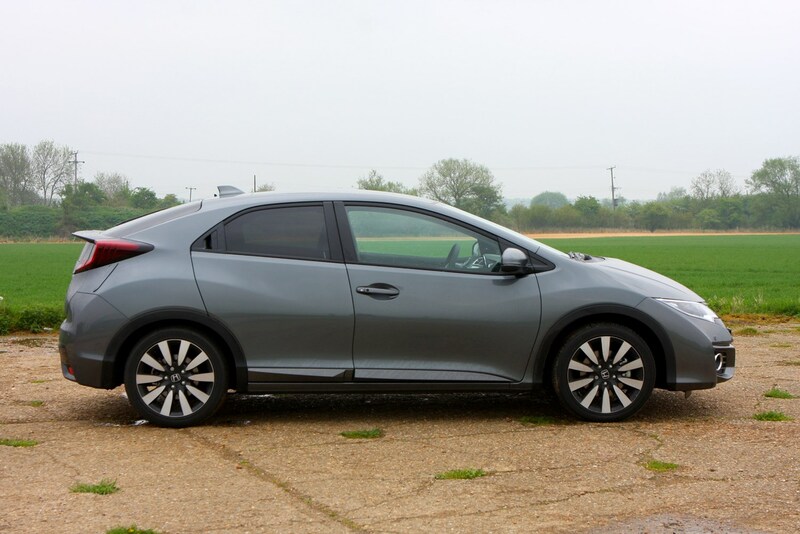 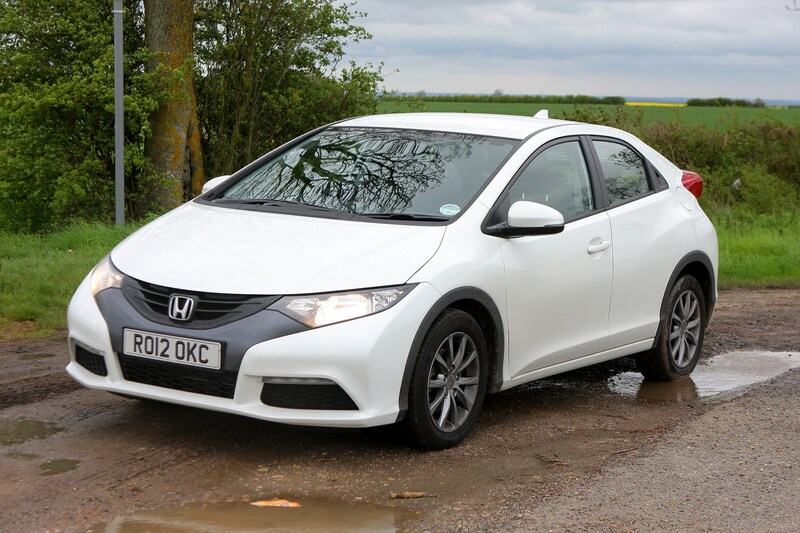 Also not all versions of the Civic may have been affected by a recall but you can check whether a particular model does require the recall work by checking the Driver & Vehicle Standards Agency or with your local Honda dealer.